Have you ever been half-way through a painting and suddenly the art studio light changes? You carry on painting, hoping for a break in the weather, trying to remember the colour you’ve just mixed, and then the lighting changes.. again. You think it won’t matter, it’s not that important, but the way you light your art studio can be one of the most cost effective ways of improving your painting and your colour mixing without buying another tube of paint. One of the easiest methods of designing better lighting, is to simply change your light bulb. But not all studio lamps are created equal. From a £5 hardware store fluorescent tube to a £1,500 bespoke solution, the choices you make affect your ability to match colours accurately, judge skin tones effectively, and even feel a little happier by the quality of light you paint within. With different options available you can have studio lighting the Old Masters would have been proud of…. without turning to shots of Absinthe. Trying to understand all the considerations when choosing my own studio lighting nearly led me to a lighting melt down! But bear in mind, I’m trying to design a bespoke studio where I’ll be painting 12 hours a day some days, through gloomy British weather and many a midnight painting session. So I need a space that has both natural light and the best quality artificial light. There are so many variables and it’s such a specialist request that many Electrician’s will roll their eyes at you. With this tricky subject in mind, I have tried to created a summary of what you really need to know, and it can get a bit technical in places. Do I really need to know this? I hear you cry! 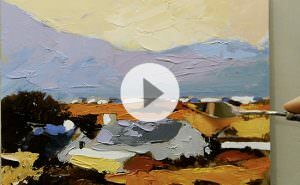 As a painter I have worked in a range of studios with a variety of lighting, from the most fantastic natural brightness of light in the Mediterranean to orange incandescent bulbs that made my paintings look dull and dreary. Finding a solution between natural lighting, artificial lighting and your budget can be a balancing act, depending on the subject you are lighting, your style of painting, space you have and funds available. I’ve been struggling for years to find a simple, easy solution and have had many setbacks with my paintings along the way, trying to understand the difference between the lighting types, styles, colour temperatures, Kelvin’s, CRI’s the list seems to go on! I’m currently just finishing building my new studio and thought it was the perfect opportunity for me to address all the art studio lighting questions I’ve had in the past and put them into practice in my new studio space. 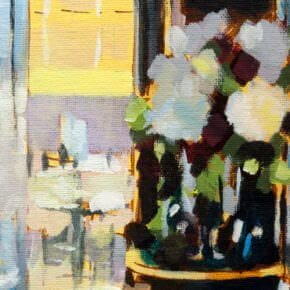 Generally, the light you use in your studio is nearly always going to be different to the specific lighting arrangements of where the painting will finally hang and be viewed in. I’ve painted subtle grey tones before, that look fantastic on my easel, but I know from experience they would almost disappear if hung in a hallway without natural light. I tend to paint in quite a bright space, the same light illumination levels you’ll usually find in an operating theatre, so when the paintings are displayed in a room with softer bulbs, the effect of the painting changes. So, if you are commissioned to create a painting and have a chance of viewing the wall where the picture will hang, I’d say it is pretty critical to go and have a look. It could be a bright conservatory or a dimly lit corridor and this can dramatically change how you approach the commission. So what’s the best light to paint in? Let’s start with the artist favourite, North light. All artists paint under North light, right? That’s what we’re led to believe if you could only find the perfect window, the right size and the perfect height, that sends in soft North light, your paintings would be…perfect? North light describes the location of the sun in the sky, having a window that only allows in North light helps to avoid having direct sunlight shine into the art studio while you work. This is better for a painter because the light is more constant. Notice how I didn’t say 100% constant, but more constant than the dramatic changes that happen with direct sunlight. Pro tip: North light only works if your studio is in the Northern Hemisphere, as a North lit artist studio in the Southern hemisphere will face direct sunlight coming through the window. The first thing to look at is where your window is. Ideally, you would want a North facing window above your easel at about 35° angle from your canvas, so you get directional light on the canvas without getting glare. 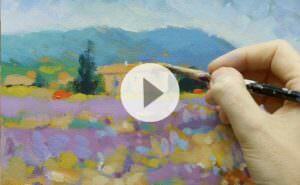 Glare is most prominent if you are painting vertically with oil paints. This gives me a nice spread of natural light if I’m working with the window light directly behind me or to the left side of me as I’m right handed so the canvas is always illuminated, similar to the position of the easel in the Rembrandt studio below. If you have a large North facing window that is low (like Cezanne’s window light in his studio above) you have to be aware of bounced light. This is where light from outside is coming in from the bottom of the window and then hitting the top of the ceiling in the studio – reflecting light from the ceiling down into the space. If you’re trying to create a strong directional light effect, the reflected light from the ceiling can lessen the strong contrast, also, if you have any colour on the ceiling this will be reflected into your studio. You just need to add a ‘hood’ over the top of the window to stop the light spilling up into the ceiling. It’s like adding a barn door to a photography studio light – you’re just controlling the light coming into the space. Depending on where you live in the world, the intensity of the light will vary, so a bright summers day in Italy, will be much more intense than a summers day in the UK. 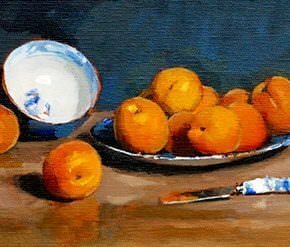 If you paint in a more Impressionistic style, like Cezanne, reflected light can add to your set up, illumination of the space is your number one priority. However, if you are only going to be creating highly dramatic, Chiaroscuro Old Master style lighting, then reflected light can pose problems. You can go completely black in the studio, black walls, black ceilings, black floor, black clothes! but if you don’t manage reflected light then it can defeat the whole object of creating a space lit with one single light source. 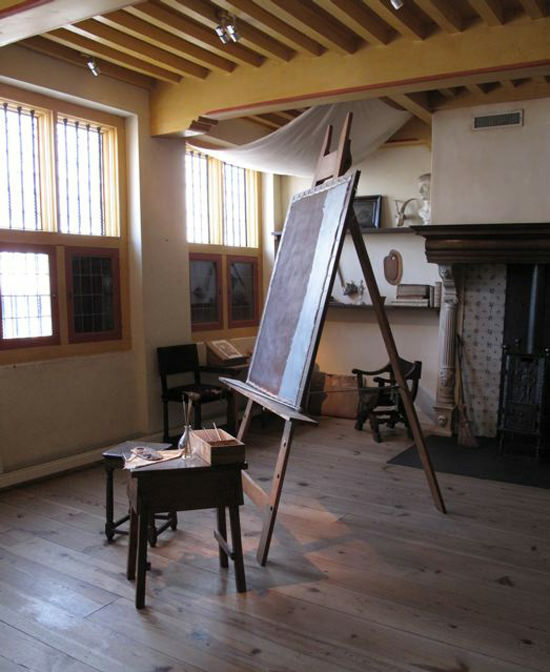 Rembrandt’s Art Studio lighting – Look at the low blackout windows and the canvas hood that prevents the light bouncing on the ceiling. You can read about my visit to Rembrandt’s studio here. So, if you have a large low window, generally the bottom half should be covered with diffuser fabric so you get only light coming into your studio higher up, helping to illuminate your canvas without casting shadows. Black out roller blinds can be very helpful in controlling the intensity of the light, the smaller and higher the light source, the more half tones you see in the subject. Now we begin to enter the realms of artificial lighting. Have you ever seen a chameleon change colour? Well, this is how light changes throughout the day, depending on the time of year, weather, and if you’re in the Northern or Southern hemisphere. Just as different paint colours are called warm and cool, so are different light sources. And this can effect how you perceive colours in your studio. With natural daylight, the changes happen subtly throughout the day, so initial colour change isn’t always apparent. However, when you’re concentrating and trying to paint a subject, you are battling against the perceived colours that keep changing! This is why in Monet’s Haystack series he worked on numerous canvases as every couple of hours the light changed. The colour temperature of lamps are measured on the Kelvin (K) scale, so you can say ‘what Kelvin are those lamps?’ and sound super clever! It’s called colour temperature because the scale originated from heating up Carbon to extremely high temperatures and the different temperatures produce a different colour. If you were to heat carbon to 2426.85 degrees Celsius it would have a Kelvin of 2700K, and would glow yellowish-white. If you heated carbon to 5126.85 degrees Celsius it would have a Kelvin of 5400K, and would glow bluish-white. So the higher up the Kelvin scale (colour temperature) we go, the cooler and more blue the light. So a lamp with a Kelvin of 6500K would be called a cool light. So how does this relate to North light? North light varies depending on if you live in the Northern or Southern Hemisphere, but in general North light/ blue sky is around 7, 500 – 10,000 Kelvin and if you were to mimic this is a lamp would be far too blue/cool to paint with. In my studio, because I need artificial light as well as natural light I aim for a lamp of between 5000K – 5500K, this gives a white light rather than it having a cast of being too blue or too orange. But just relying on Kelvin isn’t the only consideration, it’s number 1 on your tick list but you could buy a cheap bulb with a 5000K but if it hasn’t got a full spectral range, referred to in the industry as a CRI rating, then it might not be as accurate as you think. CRI (pronounced ‘cree’ not C.R.I like F.B.I as I first thought!) stands for Colour Rendering Index. This is the ability of a light source to render a full spectrum of colours to our eyes. So, the next thing we have to consider when choosing a lamp is the colour-rendering index (CRI), this indicates a light’s ability to illuminate colour accurately. Natural daylight has a CRI rating of 100, this is what ideally we’re aiming to mimic in a lamp. The more balanced the rendering results are, the higher the CRI will be. Pro tip: ‘Full spectrum lighting’ is a phrase used by the lighting industry to denote bulbs that mimic the properties of sunlight, but some bulbs/lamps described this way perform better than others. So for example, you could have an artificial light source that renders blues and reds accurately but doesn’t have a strong yellow in its spectral curve so the rendering of the yellow will be duller. Here you can see this has a very spiky, spectral curve, so doesn’t offer an even colour rendering. Colour is created by the selective reflection and absorption of the colours in the visible spectrum by the painting’s pigments. This is really important for the lighting in your studio so you can mix a full range of colours accurately. The higher the CRI score (out of 100) the more accurate to a full spectrum colour, the light source. Bulbs with a CRI of 80 to 100 are best at revealing vibrant, natural hues. With artificial light, we’re looking for a light source that is ideally over 90 and as close to 100 as possible. Different lamps have different colour rendering indexes. This indicates how smooth, or how ‘spiky’ the light source is. If the source has spikes in it or is not well balanced you get an illumination that has flat rendition of some colours. Just as a note, the highest CRI rating lighting manufacturers produce with a 5000K – 5500K is currently around 98. 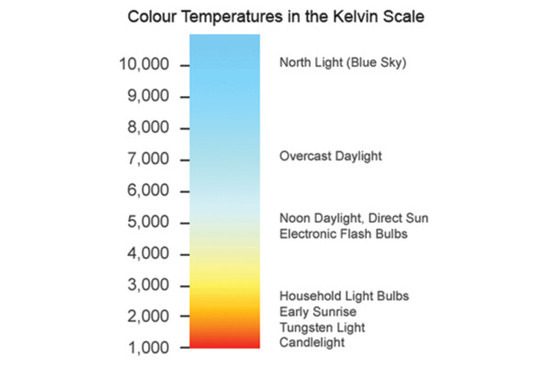 Pro tip: The correlated color temperature (CCT), measured in Kelvin, refers to how warm or cool a light appears. Too warm a bulb may tint work reddish yellow, whereas too cool a light can turn things blue. For a good balance of warmth and coolness, look for bulbs with a CCT of 5500 K, the equivalent of midday sun. If you prefer cooler light, akin to north light, look for bulbs rated 6500 K.
And finally but very importantly the next (and almost last) thing to consider is luminosity or brightness. This is different to Kelvin or CRI, this is the lamps lumen rating or wattage rating. Light measurement is complex. It is difficult to compare products when manufacturers provide performance in different formats. Wattage is the measure of how much electrical power a light source uses, not how bright it is. For a true comparison of output, lumen is the best measure to use. The lumen is the measure of luminous power of a light source as perceived by the human eye. Lumens describe how much light in total is emitted from a light source. 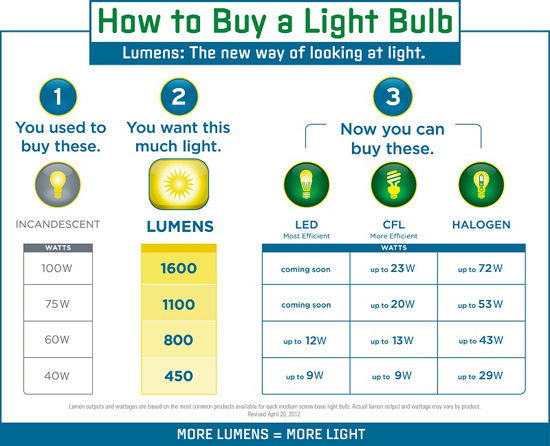 Watts measure the amount of energy required to light products, whereas lumens measure the amount of light produced. The more lumens in a light bulb, the brighter the light. Using lumens helps you to work out how bright the space will be, regardless of the type of lamp you are using. For example: You could have a LED down-light, a Compact Fluorescent Lamp and an Incandescent bulb that all have different wattage per bulb but by using Lumens you can work out the light output produced. So to clarify, generally, total light output from a light source, regardless of the direction the light travels, is specified in lumens (lm). So can I just find a handy lumen comparison chart to see how many lamps I need for my studio space? But there are so many variables that there isn’t a one size fits all and to complicate it further to describe the amount of light that hits a specific surface eg: your canvas, another term is used called Lux or Footcandle depending if you work in meters or feet. Lux is defined as the level of brightness at a particular distance from the light source. So the further from the light source the less the Lux level. The formulas for measuring how much brightness you will need in your space are complicated, I found trying to work out light fallout, ceiling height, diffusers on lamps, beam spread etc.. really difficult to calculate! My top tip for lighting a small art studio with a ceiling height of 8 – 10 foot, is a bulb you can just screw into your existing fitting and is a Compact Fluorescent Bulb. It should have a 90+ CRI rating, 5000K- 5500K colour temperature and around 85 watts, it will give a light output of around 5000 lumens at the lamps source and will give you a bright, clean light to work under. Pro Tip: The light strength diminishes as the light is moved further from the source so by the time it hits your canvas it would probably be a 2/3 of the strength, around 1,800 lux – based on you sitting 1.5 meters away from the lamp in the ceiling. The recommended lux level for detailed drawing work or very detailed mechanical work is 1500 – 2000 lux so this would fit the bill! Hurray! However, 1500 lux is still very bright and I would imagine for most home studio situations, this bulb would give out ample illumination. For many classical paintings, a lux level of 250 – 450 lux can still work very well, especially if your finished piece is going to be hanging in a darker space. The lux value changes depending on how far away from the source you are painting, the angle of the beam etc.. but this lux calculator is very handy if you want to check your own studio and find a light level that works best for the style of work and type of paintings you are going to be creating. Here’s my overview of lighting and how to choose the best solution for your own space. These are very inexpensive, have a high CRI rating 95+ but are a very warm light resulting in you actually painting things cooler than you would like, not the best choice for an art studio. Incandescent light bulbs are being phased out in favour of more energy-efficient lighting. A compact fluorescent lamp (CFL) is a type of fluorescent lamp. Many CFLs are designed to replace an incandescent lamp and can fit into most existing light fixtures formerly used for incandescent light bulbs but generally use less power, have a longer rated life and give the same amount of light, but at a higher purchase price. They generally have a lower CRI rating of 80 + (you can find odd ones that are higher) but Kelvin can be 5000K – 5500K. CFLs radiate a different light spectrum from that of incandescent lamps, but are becoming more similar in colour output to the standard incandescent light bulb. A halogen lamp consists of a tungsten filament sealed in a compact transparent envelope filled with an inert gas and a small amount of halogen such as iodine or bromine. The halogen iodine or bromine increases the lifetime and the luminous efficiency of the lamp. Halogen lamps reach a luminous efficiency of approximately 25 lumens per watt (a conventional incandescent light bulb is approximately 15 lumens per watt and a compact fluorescent lamp is approximately 60 lumens per watt). Halogen bulbs are smaller than conventional light bulbs and usually found in recessed task lighting, CRI is high but colour temperature is usually very warm. Want to light your painting like the Mona Lisa? Then you need to invest in some Solux bulbs. These bad boys are used in museums globally, such as The Louvre in Paris, Guggenheim Museum, NY & The Van Gogh Museum to name a few. 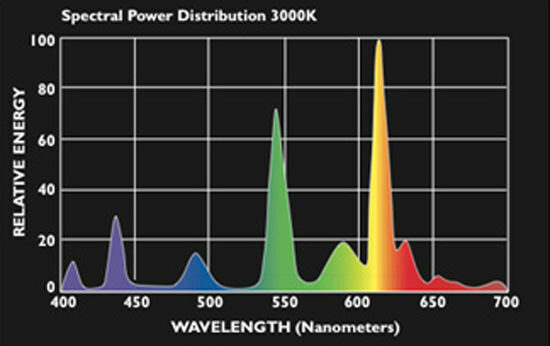 The CRI rating and spectral curve is amazing and for artificial lighting that best illuminates natural daylight, you can’t get much better. So, have we found the perfect solution? If you work small and have a friendly electrician these can be a great solution, there is a 4 lamp track available that gives a great value spread light, however, the halogen light has a spot effect, rather than bringing up the illumination of the room. So for lighting the Mona Lisa, perfect. For creating an ambient light in your studio? The lights are often used for photography proofing of colours, so have been designed on a track system for illuminating a wall. The halogens also run hotter than the fluorescent’s and use a touch more energy. Also they are harder to track down in the U.K.
Solux bulbs are the best halogens on the market, but they are expensive compared to lifespan/ cost ratio of fluorescent bulbs. Pro Tip: They produce an amazing reading lamp for a lovely quality of light. These tubes are probably the next best thing indoors to North light for most artists wanting a good illumination of the whole space. They are relatively cheap and efficient and have good color indexes on the more expensive tubes. The light source of a fluorescent tube is mercury and the light that mercury produces gives of ‘spiky’ lightwaves, the light isn’t an even spectral curve. To combat this, manufacturers coat the inside of fluorescent tubes with a phosphor coating. The phosphor coating helps to smooth out the spiky light wavelengths and gives a more even spread of colours. So for lighting an artist studio we’re looking for a tube with a ‘tri-phosphor’ coating. Good quality ‘triphosphor fluorescent’s use three phosphors to give off red, green and blue light. This tricks your eyes into thinking they are seeing white, in much the same way as a TV screen works. Specialist fluorescent’s are available with a CRI higher than 90%, but these are slightly less efficient and are usually only used by professionals such as graphic designers or artists. They have a Kelvin of 5300K and a CRI of 98 and I can create a bank of lights to mimic diffused daylight whilst ensuring the lux level is going to be high enough. On a happy note, as the bulb mimics natural daylight it’s ideal for sufferers of Seasonally Affected Disorder or S.A.D, so gives a feel-good factor whilst you work! In fluorescent tubes, there is a number that represents the diameter of the tube. The tubes I’m using are called a T8 and the industry are in the process of phasing them out, along with the T12 in favour of more energy efficient bulbs. The T5 and LED’s are the alternatives but I’ve yet to find either that offer a high enough CRI rating, however, I believe over the next couple of years with developments in manufacturing there will be a more energy efficient like for like replacement. Phew! hope it helps with setting up your art studio space. Excellent discussion of lighting. Thanks. Thanks for that. Great to find someone that has done all the tedious research. I will go back to the lighting shop next week armed with new specifications. HI – I was going to put an led daylight strip in my log cabin studio. You really talk about LED lights – what do you think of these for a studio? Thank you very much for sharing this useful research work. Cheers Herman, pleased you enjoyed it. Great studio lighting info.Will. OMG Bacon’s studio is so messy. How did he find anything! Love the look of Cezanne’s studio. For the moment I paint in my dining area beside my glass double doors and only paint in daylight hours but I would love to have a dedicated painting studio when I’m more experienced. Congrats on the new studio. It’s looking great. Cheers Orla, a glass double door is a great place to start. Great observation on Bacon’s studio, it explains why his work looks like it does :) We work as we live. I can imagine that Pollocks’ studio was filled with tables of unwashed plates of spaghetti and Mondrian bought all his furniture from IKEA. What about fluorescents strips that have daylight bulbs? The information was very helpful, as per your usual standard. Thanks Dale, kind of you to say so, pleased it helped. P.S. Got 4 pieces in an exhibition in April/May! Eeeeeeeeeekkkk!!!! Great news about the exhibition, and a fly screen patio door combo sounds pretty sweet! Thank you so much for your efforts , Will. I will have to take days to digest this information .niramon ,Victoria BC,Canada. Cheers Niramon, a little at a time is best for understanding lighting! Thank you, Will, for the very comprehensive report and photos of lighting for studios. I found it very helpful…thanks for doing the condensed version. Comments on my work shown on my website- judy swade.com would be valued. Hi Judy, thanks for dropping by, pleased the condensed version helped. A few years ago I also researched this lighting issue. The costs are so varied too. This information is incredibly valuable. What can I say,……thank you for your very complete and valuable information, you suggest tea and biscuits. But I think I will have a shot of tequila to your health. Cheer Mundo, pleased the info on lighting helped, and thanks for the tequila toast! Will! You’ve managed to put me off painting for life! No, actually I’ll just get a life and carry on enjoying sitting at my kitchen counter, splashing paint up the walls and on the tiles and having fun! Actually, I do have 8 down lighters and a Velux skylight and a glass door to the garden… and when the light gets too bad I head for the vino, never mind cups of tea and choccy biscuits (a real no-no here in France!). Hey Abbie, a vino choice works equally well! Great article, Will. I’ve just converted a spare room and am fortunate with lots of natural light living in Australia. I use a combination of construction and photographic lighting for working at night. I never considered where the painting will finally hang – great point! Thanks for that incredibly useful in depth information. I’m a beginner in acrylic painting, and have no choice but to use a spare 8x10ft south facing bedroom (good-sized window to one end), with one dangly lightbulb fitting from the centre of the ceiling (South coast of England). Hey, if I turn out to be any good perhaps I could invest in more but this is what I’ve got to play with at the moment! Should I hang some sort of flat net curtains across the window to defuse the direct bright changeable sunlight? Also which relatively cheap bayonet lightbulb would you suggest I buy for lighting from the centre of the ceiling? Also, which acrylic colours would you suggest I buy to get started in acrylic painting? Pleased you found the article on lighting helpful, diffusing the light from the window is a good idea so you don’t get so much glare. In the article under ‘Simplest Solution’ there is a link to a compact fluorescent bulb that I would suggest, this is a screw fitting, but bayonet fittings are also available. Which acrylic colours would you suggest I buy to get started in acrylic painting? Thanks Will for your suggestions and support, I’ll definitely follow them up! I feel very excited!! Will, thank you so much. I didn’t expect to find such a helpful and detailed article here. You are so kind to explain everything and tell us about different options of this important part of painting and share your experience. I look forward to having a look at your new studio. That was a lot of info to take in. Most of us just have a small space where we can paint that usually has to be shared with other activities. Your information was helpful but you lost me about at the fluorscent blubs. I kept thinking of the chocolate biscuits, we call them cookies here in the states. The power of sugguestion. I will consume a few more biscuits and continue reading. Keep us up on your studio’s progress. I only have one small north light window and two small west. Terrible glare in evening, shades do the trick. Thanks for a very informative essay on studio lighting. I evernoted it for future use. Hi Vicki, a cookie break is definetly needed to take it all in! I really enjoyed this article. Being a construction professional I know just how complicated and frustrating it can be trying to make a choice of product in this area. I just installed new flourescent tubes in my apartment (studio!) last week and its made it so much easier to both see the colours I’m mixing and the photographs I’m using as a reference. Look forward to seeing the finished studio. Hi Eamonn, thanks for dropping by, good to hear you’ve been having some good results with the fluorescent tubes, it really can make colour matching easier. Thank you Will for clarifying the confusing subject of lighting and light bulbs. I am trying to outfit my little studio with proper lighting fixtures, so your article is an immense help to me at this time. I will keep a copy of this information and file it in my art notes. Your direction is very clear and I appreciate what you do. Hi Susan, really pleased to hear the article was helpful, an odd change of bulb can make all the difference. You’re welcome Susan, really pleased it will help with setting up your studio with some new fixutres and bulbs. You’re welcome Chris, pleased you enjoyed it. This is my biggest problem in my studio. Thank you for telling me how to fix my problem. Wow! Such a lot to take in but so informative. I will have to study this article more closely as I’m looking to light my ‘studio’ which is really a small garage with no natural lighting. It has long fluro tubes in it at present. Many thanks Will. This article came just at the right time for me. Hi Helen, pleased to hear the article came at the right time. Having the fluorescent tube fixings is great, just have a look for a good quality tube and you’ll be away! Warm light-cool shadows/Cool light-warmshadows, right? Always? Everywhere? It’s not as cut and dry as that. As different coloured light sources, the colour of the object and reflective light can all change the shadow colours in relationship to the lights. Thank you for all your research on how to light a studio. I found it very interesting and sent me back to when I studied physics of light and color. I did a paper on Impressionist light in using color en plein. I hope others find your research helpful. Having the right light is important to a painting as is the color scheme and the subject of composition. Thanks for dropping by, pleased you enjoyed the article on lighting a studio, I agree, good lighting can really can make a big difference to your work. Very useful information, really detailed and much appreciated…. thanks from sunny Barbados. Pleased you enjoyed the article, I’m very jealous of sunny Barbados! Hi Betty, you’re welcome, thanks for your kind comments, pleased you enjoyed the article. thanks for this great description out studio lighting. I am preparing to expand my studio space (Hooray!) and lighting will be a challenge. This article is extremely helpful. Many thanks. Hey Mark, pleased you found it helpful, good luck with the studio expansion. Hi Frank, nice to near from you, pleased you found the article helpful. A couple of read-throughs is a good idea! Hi Will, I am so pleased I discovered your fantastically helpful tips, but this one is remarkable. Something I’d always wondered about but had no idea how to approach. I’m faced with painting in variable situations, sometimes on my narrow-boat where I live, and most often in other people’s houses where, you can imagine, the lighting is incredibly variable. Most often if I can find a conservatory to work in or a large window, and manage to finish a painting at the site, then this works out fine, but because I work to contract, even on gloomy days I have to produce, so I’ve been wondering about a portable light source to help me through those days. The information in your article has really opened my eyes about my options. Thank you so much sharing your research in a way that even I can understand! Cheers, Jennie from Buckinghamshire. Oh Hi Jennie, thanks for your kind comments. Really pleased you found the article helpful, I can symphasis with your changing lighting conditions! Hope it’s given you a clearer view of what would work best for you. P.S for the lower height in the narrow boat you wouldn’t need a bulb as bright as the 85watt Compact Fluorescent, a 55w would give you plenty of light. Brilliant! Thanks for that Will. You’re welcome Jennie, here’s a online store if you have trouble tracking a 5000k CFL bulb down locally. nice tips.You always give full details needed. A great posting. Well done and congratulations, Will. This is much more technical about lighting than I had to cope with in a previous job setting building standards. It’s also quite unique, AFAIK, as it has the artist in mind. If I may I have a simple example that other painters may understand: i am doing a painting that has three “different” blues; in some light they appear the same, but they are quite distinctive in the correct light. Will, I hope the studio is working out. Colour and light… fascinating, are they not? Another posting for you here, I reckon. Pleased you enjoyed the article, I found, finding lighting info specifically for artists, quite tricky. As you said, even if you know you’ve painted different blues, in some lights they’re hard to distinguish! The studio’s going well, had a minor set back with a leaking pipe on the new floor… but nothing that a nice bottle of red and 24hr heating couldn’t fix! been offline for a while art wise researching a new kitchen and a new timber studio/shed. My first thoughts went directly to north facing windows so it is with some timely fortune that I return to your school and consider light from a southern hemisphere perspective. My other consideration is cathedral ceiling or a single slope ceiling, high south, low north. Hi John, hope you’re well, and pleased the article was timely for your studio build research. However, regarding hemispheres, I assume then that the southern hemispheres equivalent to clear northern light, is light from a south facing window? The logic seems simple but…we in the southern hemisphere spend christmas in shorts and a t-shirt reading christmas cards covered in snow scenes. Logic gets challenged! Hey John, yes, light from a south facing window is exactly right for a southern hemisphere “north light” think “south light”. Thanks for that Will ! The room I’m starting to paint in, has a CFL lamp. I reckon I’m halfway there. I’ve just done the gound on my first painting… The Cherry… The rest should be easy enough… (!). Good one Barry, let me know how the Cherry turns out. Thanks for a great, in-depth summary of studio lighting, Will. Your site certainly is a treasure store of information! We are about to move house and the room I have earmarked for my studio has NE light – each time I have been in that room it seems like a good, steady light, coming through a fairly large window for the size of the room. There is also a glass door leading onto a balcony outside. Up until now I have used PureLite low energy bulbs in a central pendant light (not good on its own as I’m always casting a shadow wherever I am in the room!) and the same bulbs in a floor-standing anglepoise, and two clip-on directional lamps (good for photography, although I do have to adjust the colour balance slightly back towards the red as there is a distinct blue cast). In my new room I think the builder is going to put LEDs in for me at each work station around the room – am I right in thinking that these give a pretty pure, natural sort of light without too much colour cast in any direction? The central light will probably be retained, and I will still be able to use my lamps. I tend to work on a flat surface rather than an easel, using mixed media, and I am thinking of having my main work station against the wall at right angles to the window. I do not want it under the window because I need storage space for equipment immediately in front of me. The walls and ceiling are white, and I shall be having a neutral coloured or pale wood floor covering. Does this sound a reasonable set-up? It sounds like you’ve covered all bases and it does sound a really fine set-up. The LED’s don’t have as high a colour rendering index as a fluorescent, however, if you make sure the colour of the bulbs are as neutral as possible, you’ll be fine as you have that lovely natural light flooding in. That was really helpful, thank you for going to the trouble of posting something so comprehensive. I think I could follow most of it. I was already thinking of using full spectrum fluorescent tubes, so your recommendation of a specific one was great. I can’t however work out how many of these I will need to give good overall ambient light for a studio that’s 4.8m by 3m with a flat roof of 2.45m high for half the length and a pitched roof of 3.7m high for the other half. I’ve no idea how to do it! I feel your pain!! It took me ages to calculate what I thought I wanted and then wasn’t even sure it would be right when it arrived! My studio is only a little bit bigger than yours but has a higher ceiling throughout, I settled on 2 banks of 6 full spectrum, 36 watts, 4ft bulbs, so that’s 12 bulbs in total. I can tell you it’s like the Bahamas in there!! So amazingly bright with a really even spread, however, I have had made, bespoke fittings with diffusers and separate switches to adjust the light levels. So I can adjust it to fit each painting commission. If you had half that amount it would still be plenty bright enough, taken into consideration your lower ceiling as well. So if you had 4 to 6 tubes spread evenly over the space, I can imagine this would be great. Great information about studio lighting! Am just completing construction of my new studio & am still deciding the most important element– the lighting plan. Original plan called for track with LED lights, but I’ve had second thoughts about that. This article helps answer a lot of my questions. Thank you for posting this! Glad it helped, it is a lot to try and take in but you’re right you won’t get as good colour rendering with the LED’s. Hi Will, I have just been watching Part 1 of your How to Build an Artist’s Studio and I am SO envious!! I want one!! Did you design it yourself? When is Part 2 ready for release? I have only recently discovered your website, and I have learnt so much already – many thanks. A great article! I’ve been looking for all this info for ages, as I too am in the process of building another studio, and have discovered by past experience how important the lighting aspect is. Also how expensive it can be if you get it wrong! Thanks again for sharing all your knowledge. You’re welcome Kathy, really pleased it helped. Good luck with the build! Thank you for the illumination on illumination. Helpful for creating my new studio. Now my paintings are less likely to magically change colors like a mood ring when I take them into a different space. Saved me much research time. Cheers. You’re welcome Mark, pleased it helped to shortcut the research time. -Thanks Will. I found your article helpful since I have been picking every electrician’s brain about lighting. -Built my studio and still need to work on lighting. My husband engineered a ceiling that took advantage of the North light, and we have have incorporated CFL lighting. I don’t think they are correct. I do have large CFL lights for my photography, which I purchased over a year ago. They are PBL MX-FL 50W 5100K, 120V 590mA E26 by http://www.photobrightlighting.com. Not as robust as yours. Wonder if they will help me deal with lighting, especially in the PM hours. Pleased you’ve found the article helpful, those bulbs sound pretty good, good CRI rating and cool light, should great for those evening painting sessions! Have you finished your studio? Just curious about your lighting… are the bulbs covered or exposed? Also how many are you using in your studio? Yep, my studio is up and running! I settled on 2 banks of 6 full spectrum, 36 watts, 4ft bulbs, so that’s 12 bulbs in total. So sometimes covered and sometimes exposed, depending on the look I’m trying to achieve. Thank you, Will… I will look forward to seeing the update! I just built a new studio, or should I say I will be finishing my new studio in the fall when I return to my home in Florida. It’s all done except for finishing the interior walls, the lighting and the furnishings. I want to get the lighting as close to perfect as I can. Can’t wait to hear if yours is meeting your expectations!! Good one! My studio lighting so far has been fantastic. I’m really pleased with it, it’s created such an even spread of light with no strong cast shadows. Good luck with finishing your studio, I know how much work goes into it but it will be definitely worth it! Thank you so much for this article. This information is so helpful. I’ve been suffering in my poorly lit workspace for too long now and just decided that enough is enough. Your article will really catapult me forward in solving the problem. Great to hear it Sandi, I can sympathize with your pain! So pleased you found the article helpful and good luck with your new setup. About to build my new studio. It will be about 12ft x 20 ft . What do you reckon I would need for CFL lighting to give me the Bahamas effect? I will have French doors on the North side and a velux light in the pitched roof North side. What do you mean by a ‘bank’ of lights.? I will need to explain to my electrician. By the way, what flooring have you used in the studio? I was thinking of Porcelain tiles? Your explanation of the lighting is terrific. Many thanks. Hi Ina, sounds like you’ve got a great space to be working with! A bank of lights is just light fittings placed closely next to each other, so it gives the illusion of an unbroken wall of light – essentially, you’re trying to recreate the window or soft daylight. You would usually have 4 to 6 fluorescent tubes in a bank and I would say for a studio around this size, 2 banks. I have 12 tubes in total and this is super bright for a not dissimilar sized studio. Flooring wise using porcelain tiles can be quite hard to stand on all day if you paint at an easel. Also, they’re not very forgiving for any clumsy artists! Thanks for your advice Will. It would have been a real headache trying to decide what lighting I needed. Please will you tell me what lighting you use when painting a portrait – presumably without the ‘Bahamas’ effect? Hi Ina, pleased it helped, I paint under the same lighting for portraits. Many thanks for this information, Will. I’m just now re-doing the lighting in my studio in Santa Cruz, California. I made really bad choices the first time around. You’re welcome Joel, pleased you found the article helpful, you’ve got some amazing natural light in California! Good luck woth re-doing your lighting. Thank you for the useful information. I am in the process of making a room in the basement as my studio. I always worked with fluorescent tubes ceiling lights and I have been quite happy with results. My basement’s studio has recessed lights only, there 5 in the room, and I wonder what will be the best way to use those lights and change the bulbs to brighten the space. What kind of bulbs you recommend? I am also considering an additional floor lamp to help making work area (I use an easel) brighter. Please let me know your opinion. Thanks in advance. Hi Mar, the brightness of the light will depend on the output level on each fluorescent tube, or how many tubes you have. Just have a look on one of your current tubes and then you can judge how many more you need to get the desired lighting you’re after. If you’re using a separate floor light just make sure the kelvin numbers are the same, for example a 5000k screw in Compact fluorescent bulb with a 5000k fluorescent tube. How do you use a subtle side lighted effect when painting portraits if the studio is overall lit with cfl producing a very bright working area? Do you have separated switches for the cfl and a duller area lit by one lamp only? Thanks for your excellent advice. I’m painting the portrait within a bright space, but the sitter is in natural light away from my main painting area. So the sitter is in a softer light, but I still work in a brighter light. The bank of lights I have set up are also wired on separate switches, so I can alter the intensity from 12 tubes to 1 tube. This means I can match the intensity of the lighting to the mood of the portrait. Loved your article on lighting!! When was it written? I am in the process of building a 900 square foot free standing studio and am not certain what to do with the lighting issues. I have had several studios over the years – Omaha, NE, Northern California and now Phoenix AZ so my lighting concerns have been different in every case. The issue I have now is that the southern sun is terribly hot, the cathedral level windows are on the west side with a smaller window and sliding glass door to the south. The east wall is blocked by the east wall of the house by six feet and will be the 30 ft wall I will use to paint on. I mainly am a contemporary painter, make all my own paint (for 35 years) – acrylic, an ornamenter (glass), and concrete sculptor. My paintings generally range from 5′ X6′ – 5′ x8′ even though occasionally I may paint some very small 12 ” paintings. So, I have thought about a track lighting system around the inside, about 8 to 10 feet up on the cathedral ceiling. I have also thought about putting in 2 skylights on the north side. You had mentioned the use of flourescents with the natural light. I have used the flourescent, and the halogen. I was thinking of LEDs because the Halogens will be awfully hot down here in the summer time. And the flourescents always flickered and/or burned out on me. They don’t make the 8 foot tubes any more. Do you think I could combine a track system for displayed works along with a surround of flourescents and the sky lights to get the 5000-5500K 98 CRI/lm I need? I do not like a blue light – I prefer a daylight bulb – or did prior to moving to Omaha. Your advice is appreciated? I feel like I am running around in circles. I need a solution before we breakground. Hi Kathyrn, sounds like you’ve got an exciting time ahead with the build. LED’s don’t currently have the same level of Colour rendering Index (CRI) as the highter quality fluorescent bulbs. If you have modern fixings with a high frequency you shouldn’t have the same isses you’ve had in the past with flickering. Having a track light for tasl lighting for displayed your work and fluorecent for the more ambient lighting it should work fine. Just match the Kelvin temperatures of both your artificial lighting to the kelvin temperature of daylight you prefer. Wonder dicussion. I love vivid colours but the room the class was in had awful lighting and orange walls. I would spend 2 hours painting then go out in the sunlight only to see the colours were so off. The next class I would have to spend time correcting it. That’s when I learned how important lighting is. Thank you for spelling it out in one article. My class is in a place now with great lightning. Hi Pat, pleased you found the article helpful and you’re not struggling against the orange walls! Wonderful article, the best on the subject out there. Many thanks! We begin construction on my garage/studio in a few weeks. The studio portion will be 16′ x 22′; wall height is 8′, roof height at center is approx. 15′. Windows: 2 north facing skylights, 3 awning windows (2′ h x 4′ w each) along top of 16′ north wall, a 5′ h x 10′ w bank of windows on east wall shaded by an 8′ deep porch roof. I was thinking of CFL track lights hung 8′ h, in a U shaped configuration 4′ off of each wall except the east. The flexibility of track lighting appeals to me: being able to direct the lights, remove them or bunch them if I choose. Also, being able to switch out for LED bulbs, if I ever find a suitable one. The measurements would be 2 lengths @ 12′ along the north and south walls, joined by an 8′ length along the west. A separate light switch will control each length. If you have any thoughts on suitable bulbs or how many total in this space, or if you think a different set up would work better, I would be grateful if you shared. Now, here is something I found on LED lights that I want to share w/ you. It has made me rethink my original lighting plan. After you check them out, please let me know if you think the long term energy savings of LEDs could offset the hefty purchase price or if these fixtures are appropriate for lighting a studio. This is the manufacturers website. http://www.buildmyled.com They specialize in horticulture and aquarium LED lighting and have many options. Look at the Dutch Planted 6300K, Riparium 6000K, Fish Focus Red 5000K. If you click on the pics, they do show the color rendering chart although I haven’t been able to find the actual specs on their site. I order my aquarium supplies from them and discovered the LED fixture while perusing their site. This describes a 6700K which I didn’t find at the website above but perhaps it is a custom design. Commercial-grade, IP66 Waterproof LED light fixture assembled with a custom spectrum developed specifically to highlight all of the colors a freshwater show tank. By using a mix of the world’s most efficient LEDs, these fixtures deliver incredible PAR levels (micromoles/m2/s) into your tank. Hence, this spectrum is extremely capable of growing the most demanding freshwater plants. The slim fixture design (1″ tall / 2″ wide) will improve the appearance of any aquarium. Available in 4 fixture lengths and 5 beam angles to work with all aquariums.For those seeking less pink in the light spectrum, this is a great alternative to the Freshwater Planted Spectrum. Nice to hear from you, and really pleased you’ve found the article helpful. The studio portion of the build sounds like a great size, and with your skylights and awning should be a really bright space. 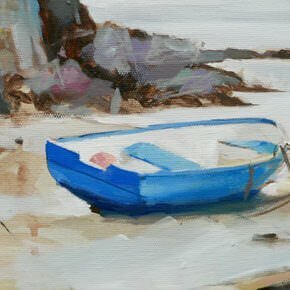 I know when previously lighting our gallery with track lighting they where perfect for highlighting paintings for sale, as they really gave each piece a ‘spotlight’ but were less effective for giving an even ambient light. but if you have the pacing right that can work well. Its hard for me to judge cost saving vs initial pricing of the lEDs, but these ones do seem to have a very high CRI rating and a low operating cost. Thank you so much for sharing this. I’m renovating a studio and need to choose lighting TODAY with my electrician. I was completely overwhelmed and you’ve saved me major stress and better still, replaced it with excitement to work in my new space! Great to hear it Kate, so pleased the article helped to prevent electrical overwhelm! Wonderful article – just what I needed: I have a very small bedroom for a studio right now, how many bulbs are needed in a 11.5 x 11.5 foot room? I have one overhead electrical outlet which I want to change to the fluorescent lights you suggest. I want to know if I need two fixtures with maybe 2 bulbs in each, spaced equally on the ceiling. Does that make sense for overall lighting the room? I have some spot lights that I use for close work right now. Nice to hear from you, and pleased you’ve found the article helpful. For that size room one single fixing with a twin fluorescent bulb will give you a bright working area. I had a 5 ft twin fluorescent tube from the centre ceiling fitting and then painted standing at the easel directly underneath it. The internal ceiling height was about 8ft and the room was about 10 x 10. With the one fitting my actual easel is illuminated really well, but the rest of the room is darker due to the spread of the fluorescent. (If the ceiling was higher the spread would have been greater) So you could try 1 x twin fitting with the current electrical fitting as no need for any rewiring, check the brightness, and then add another fitting if need be. The most even spread would be 4 single tubes evenly spread. KM: To my knowledge SoLux is not in the Louvre, but we do light the entire Musee d’Orsay, the largest collection of Impressionist art in the world. The rest is all true! #1 Put a plano-convex diffuser in front of SoLux (which we offer) you achieve a well spread and diffuse light. 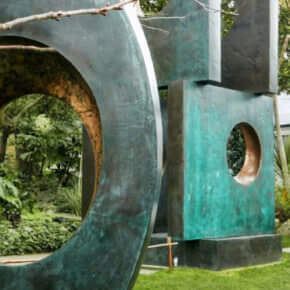 #2 Bounce the light off of a white ceiling, wall, or sculpture and the room will be lit uniformly with the most accurate daylight source money can buy. KM: Actually I’ve seen how the Mona Lisa is lit and it is a travesty, same with the newly renovated Rijksmuseum. KM: Aim the lights on white walls, ceiling, or white objects and you have your ambient lighting! Tailored Lighting Inc, my company also ships directly to customers all over the world, sales inquires at phil@solux.net, Phil Bradfield 1-800-254-4487. KM: The standard SoLux bulb retails for $7.95, for the best simulation of daylight on the market. SoLux bulbs typically last 6,000-8,000 hours because most transformers drive at less than 12 volts increasing lifetime and do not drift. SoLux provides perfect daylight from day one, fluorescent lights are incapable of providing proper daylight simulation. Let me know if there are other things you would like to learn about SoLux. Best way to appreciate SoLux though is to see it in use. Seeing is believing. Great to hear from you and thanks for such a fab invention! I appreciate you taking the time to clarify a couple of the points mentioned in the article and what’s possible with SoLux lighting. Hi Will! So much wonderful information. And I want to thank you for sharing it with us. Quick question, I have a floor lamp with 3 adjustable light sockets. It currently has 1 cfl with a 2700k 1600 lumens bulb (I looked on the package). It’s a warm light that is similar to a regular incandescent bulb. I was wondering if, by adding another cfl with a much cooler light, it would help to “balance” the lighting? Hi Tom, it kinda would, but not perfectly, another cooler bulb would help to give you a cooler light effect, but it depends how close you are away from your work. I have seen fluorescent fittings in studios in the past where there was 4 tubes, 3 were warmer and 1 was cooler and the fittings was quite high, so when the light hit the canvas it was more evenly balanced, but its more a ‘judge by eye’ in your own studio space. But if it’s just one CFL bulb, I would try replacing that for a 5000K. Hi Will, I added another CFL, 6500k and 1600 lumens, and the combination of warm and cool did work pretty well. I wouldn’t say I’m well lighted by any means, but it’s fairly bright and the colors show upaccurately (they look the same outdoors as indoors). At least for the moment it will serve for my tiny little setup. Again, thanks for all the great info on your page. Good one Tom, pleased it has worked to help match the outside lighting and is working for your setup. I left a message before and you answered my question about how many tubes to light my small studio but now I have a question on where to buy the Phillips Graphica in Canada – Vancouver actually. Do any of your readers or associates know where I can get them here? Hi Sue, I personally don’t know of Philips suppliers in canada, you could try contacting Philips direct for the list of suppliers in Vancouver. Hope you can track some down. Will, I learned so much from your lighting article. I have finally found the fluorescent tubes that should work, and now I have to choose the paint and flooring and my studio will be finished. I have a good idea of the paint color–one of the gray tones, white for the ceiling. Is this a good choice? I have tinted windows all around the room which is 12 &1/2 feet by 18 & 1/2 feet. I will have three overhead lighting fixtures with 4 fluorescent tubes in each.. (full spectrum) The one thing I’m really unsure of is the flooring. My studio is a free standing building at the edge of our pool deck. Although it will be air conditioned and heated, I am still concerned about the possibility of mold. (We live in Florida.) Since bamboo is supposed to be mold resistant, that is my choice for the material. However, it’s the color that I am unsure of. Our local DIY store has one that is light and one which is much darker. Which one do you think would be better… Think of the colors as a blond or brunette. There’s that much difference in the two. Also, have you posted pictures your finished studio somewhere?? Thanks for all your wonderful information that you share. I hope to take some of your classes once I’m finished with the studio and get settled in! Nice to hear from you, really pleased you’ve been finding the lighting article helpful when setting up your new painting studio. You might find this article of interest on choosing an art studio wall colour. The colour of your flooring wouldn’t really influence the perception of colours onto your canvas very much at all, so it it really down to your own personal preference, the lighter wood will give you a more natural, airy feel to the studio, with the darker floor going more ‘Old master’. On the article linked above have a look the the Angel Academy dark flooring to give you an idea. Good luck with the rest of your build. First of all, thanks for a great article and, in particular, for the Amazon link to the right bulb, which saved me ages of searching. Perhaps though, you could edit in that this bulb is actually the size of a thermos flask! Somewhere, I’ve have some old photography light fittings, but I was originally planning to put this into a standard ceiling rose fitting…and I reckon it would take the ceiling down with it, haha. So, not a problem for me, but might be useful info for other people to know in advance. Thanks again for this article and all the other great articles and vids. Mmm, yeah the bulb is quite large if you have a higher wattage! Pleased you found the article helpful and hope your studio feels super illuminated. This makes for fascinating reading. I am assuming the colour of your walls will also impact how the light effects your painting space? I am planning on taking possession of the spare bedroom and turning it into my personal painting space but living where we do all our windows are heavily tinted to reduce the effect of the heat on the glass and the sun coming into the homes. 50 degrees plus mid summer is not easy to work with! For this reason I need to be very aware of what artificial light I use as I will end up being very dependent on that. The room is also a very heavy apricot brick colour so not ideal. I would like to repaint it… Any wall colour suggestions? Thanks again for all the wonderful info! How to choose the perfect wall colour for your art studio. Thank you very much, am at the start of converting garage, really helpful information. Great to hear it Mary, so pleased you’ve found it helpful. Whew! My brain hurts but I understand this much better now. Thanks! Good one Cheryl, really pleased it helped. I notice you haven’t mentioned LED lights. I am looking at a downlight with 45w LED, 5000k, 3768 lumens and CRI-84 to put above my work table in a basement. It has a dimmer switch. I work with paint and textiles. I guess I am confused about LED replacing fluorescents. A CRI of 84 is pretty good, and LED lighting seems to be getting better and better at colour rendering, for example these photography lights claim a CRI rating of 93 but at this level of CRI are currently more expensive than fluorescents (5600k,829 lumens – 3 ft from light, is about $599) but if you don’t mind a slight drop in colour rendering you’ll be away! Hi Cathy, so pleased you found the lighting article helpful for designing your new studio, it can be a bit of a headache, but so worth it in the long run! hope the fit out goes well. I have been tearing my hair out over lighting specs the builder asked me to give him for my painting and sculpture studio being converted from part of a friends double garage in Wiltshire – 17′ x 9.5′ double height working space – plus a mezzanine floor under the rafters for small works – so was over the moon when my cousin pointed out your website and helped me thru it. SO useful and clear. I hope I can find the Phillips tubes you specify for your studio build as it doesn’t look so different in size and concept from mine! 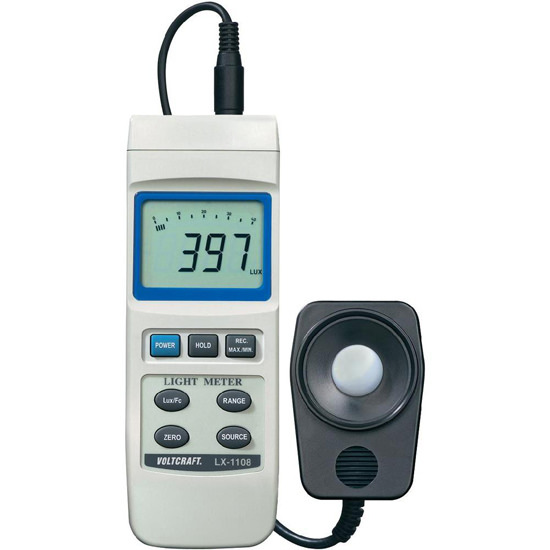 I am now going to buy a lux meter, and specify Kelvin, CRI and lumens – Hooray! THANK YOU! Great to hear it June, so pleased it’s helped through the stress of a build! Here is a link to a supplier in the UK, the link is to 4ft tubes, but they also have 5ft tubes. Thanks Will. I think 4 ft will possibly be quite big enough? We had been thinking three 3ft tubes…..
What about anti-glare fittings – any advice? It varies depending on the housing for the tubes and how high they are positioned. If you have standard single or twin tubes you can get reflective fittings for offices called CAT-2’s, they bounce the light around and reduce glare but it depends on how high the tubes are placed because the spread of the light is more focused downwards, and won’t really add ambient light to the space, so it depends if the light is for task lighting or ambient space lighting. These fittings can be added afterwards though so you can always start with the bare tubes, and then adjust from there. Also, just note that any diffusion/ anti-glare will also reduce the LUX light level in the space. Thank you so much! Mmmm … more food for thought. I have to work mainly in artificial light as my windows face south – no choice here. I think the height of the tubes will be measured using your lux level light meter approach. I’m concerned however when on the mezzanine floor I will likely be level with the tubes lighting the lower floor area and get glare from them…. but do not want to lose clear bright lighting…. mmmm maybe the right curved type fitting….? I’ve taken copious notes from your excellent article and plan to start improving my lighting situation starting tomorrow! Would the incandescent lights I’ve always used cause my paintings to have a bluish cast when I see them in natural daylight? I try so hard to emphasize warmer, sunnier, colors – but my work nevertheless ends up being predominately cool. I have been trying for years to overcome my secret, unconscious preference for cool colors – but it might be that what I really need to do is get better lighting! You are such a great teacher, and artist, and now it turns out you’re a really good researcher too. Thank you, thank you. Hi Essie, really pleased you found the article helpful. Yes, the orange light from your incandescent bulbs is the culprit! working under a more balanced daylight bulb (cooler in colour temperature) will make all the difference. I’ve read your article repeatedly over the last month or two. I’m remodeling a garage to a studio (16’x12′, normal 8′ ceiling). I’m currently doing the wiring, so my light decisions have reached rather a crisis point. The best thing about putting in new wiring is that all the possibilities are open; the worst thing is that I have to choose one. :P Since the room is currently wooden walls and a single bare bulb, it’s quite hard to visualize! I’m wondering if track lights or recessed lights can provide enough illumination, or if tube fixtures seem to be the only way to go. (I assume diffusers on either recessed or track lighting) — and how do you tell how many you need in your space? I have decent daylight — added 3 2×3 windows on the north wall — but need to be able to paint at night. (There’s also a very non-painterly giant east window, but it’ll have diffusing blinds on it. Sometimes you have to have the kind of light that makes you happy). I have a back-up plan for adding more lights should I need them (outlet in the ceiling on a switched circuit, and a metal bar to clamp lights onto), but naturally I’d rather get it right the first time! Nice to hear from you, and so pleased you’ve found the lighting article helpful. The track lights can be good for task lighting but aren’t as good for a general illumination of the space. If you work out how bright you want the space in Lux level, and then work out how many bulbs you need for that level. You can buy a digital lux meter (for about £25) to test your current Lux levels to see what intensity of lighting suits you best. I’d love to give you a ‘lighting formula’ to work it out exactly for your space but there are so many site specific variables that change from location to location it’s hard to be super specific. Good luck Sarah, and If I work out a secret lighting studio formula I’ll let you know. Ha, thanks, Will. Even having one thing to take *off* the list of possibilities is helpful! be a great artist but I will enjoy painting. Hi Tom, you’re welcome, brilliant to hear you’ve been inspired by the Monet series, looking forward to hearing (and seeing!) your results. I’m planning on getting some studio lighting for my wife this Christmas, to be used for light-to-paint-by and for photographing works. Based on what you’ve said I think I might get a Continuous Light Kit Soft Box Set, such as this one – dirt cheap. My thinking is that one of these would do for general lighting and two for photography, what do you think about using a stand set-up to light a studio? I presume the 125W bulb (greater than the 85W you mention for what is most like our studio) wouldn’t be too bright, presumably just move it further away? Thanks again for your great post. With that kit you could just unscrew the bulb from the softbox and screw it into a standard ceiling fitting, it will give you a more even light in the space when coming from above and slightly behind the easel, or just order an extra bulb, and then have the 2 x softbox kit + 1 x 125w bulb. The light source will all be the same colour temperature and you’d be golden, just make sure to delete the dirt cheap part when wrapping! Thank you for the exceptional article on lighting and the studio pictures. I’m currently redoing my studio that has windows on all sides and two full glass pane doors. The back faces north and I’m adding velux sky lights. I’m not sure how many to add. The room is 14’x12′ and I can add two or three 30″x37″. What would you recommend? Really pleased you found the article helpful. Try to think about how you would be using the space, would you have a still life set up one end of the studio and then be viewing the subject from far back? or would you be making mainly in one area? If you can imagine how you will move around the space, and where you would be viewing/judging your palette/easel from, you can start to judge where would the light fallout and/or sunlight coming in be. I have 3 velux sky light on a 20′ pitched roof, the skylights all face north so give me a diffused light, rather than any direct sunlight. Thank you for getting back to me so quickly. I will be using the studio for all different painting scenarios so I think I’ll go with two Velux skylights on the north side. Did you get the hardwired or manual? Did you get built in shades? Hi Wendy, as the skylights are north facing the built in shades weren’t as much as issue for me initially, but if you know there is going to be strong directional light through them it would be handy to have. Hello Wil, your lighting blog has been a God send – thank you so very much! I have a further question for you re lighting for my studio which is nearing completion. We are converting one half of a double garage (floor to rafters) plus the area under the roof of the other half which will be storage and have desk space for small works; using the ceiling/roof of the toilet as a landing for access to the under-roof office/storage space. My main studio space is just over 5m long and 3m wide – I’m thinking to put the Pillips fluorescent tubes u refer to in your blog, in 3 double rows across the width of the studio – and am wondering, since I will be so dependent on artificial lighting, wether this will be enough? What do you think and advise? Hi June, pleased you found the article helpful. I’m painting in a 6 x 3.5m space, and in the main painting area that is about 4 x 3.5m I have two banks of 6 x 4ft 36 watt tubes. So 12 tubes in total. They are hung about 3.5m high. It is very, very bright. I’ve had them installed on isolators so I can switch them off individually if needed so I have flexibility in the space, as – I’m sure you’re finding – trying to work out the exact number of lights is a bit of a headache! So depending on how low/high the ceiling is, as the light fall off is quite high, the number of tubes you’re looking at will give you a very bright space. Also, the length of tubes will also effect the total lux level for the space. Wow! That no of lights is more than I expected – and goes someway to explain the nine luminaires Thorn recommended for my studio. I quote – 3 luminaire rows each with 3 luminaires. I have to clarify some of their terminology – but also a LOT more expensive than I anticipated. Perhaps not so over the top as I thought – please let me know what you think! I will be calling Thorn to understand and clarify what I have received from them – do Phillips do fittings for the bulbs you recommend? Thank you once again. I intend buying a Lux meter! The cost often varies greatly depending on the ballast/housing that the tubes are within. I used single tube fittings, but had a bespoke box made so I can diffuse the light to my liking. But it depends what fixings Thorn have recommended. In my previous space (12ft x 12ft x 8ft) I had one light fitting that housed 2 x 58 watt tubes (also from Thorn) that had a built in CAT-2 filter, this was around the £200 mark if my memory serves me correctly. Because I was working directly under it and the light was quite close to the canvas it worked well. The lux meter is the best way to get an idea for your particular space and lighting you feel comfortable with. p.s. The other option is to put in the wiring for more lights than you need, start with fewer and see how you get on. Then to drill a hole and wire into the cable with an extra fitting in the future would be a very simple job. Hi Will, great article, very informative! I was just wondering if those Philips tubes worked out for you, and if you still recommend them? I’ve painted under these tubes for the past few years and have found them great. Some recent led lights are getting better and better in terms of the CRI rating, such as these from flolight but the price per unit is still much higher and they are aimed more for the photo professional than home studio lighting. Congratulations on a fabulous website and article on studio lighting! Hi Craig, pleased you’ve been finding the article helpful, it all depends what time of day you’re painting and the position of the windows in relation to your easel setup. Early morning will be fine, it might just be in the summer months at mid day when you get a direct sunlight into your space you might need some screening. But with the weather as it is at the moment – grey, any available light is a bonus! As always, you give us the details we need…clear and on-target. Thanks Will. As a few others who have written, I’m moving into a new place and have the opportunity to ‘prepare’ a better painting space, so I’m looking for those key ideas. One of my challenges is that I enjoy plein air painting, so I’m hoping to create lighting that can at least ‘roughly’ match what I find outside. Hey…why not shoot big, huh? You’re welcome John, great aim for your lighting. Dear Wil, My new studio is nearly completed – and looks VERY SIMILAR in size to yours – you have been a lifeline to me with your article on studio lighting. I am planning on using the Phillips – 4 foot Fluorescent Tubes 950 Graphica Pro 36 Watt that you mention. But with Cat 2 diffusers – 3 of them, each containing a pair of the above tubes, so 6 tubes in total…. do you think this will give me enough light to work at all times – or should I push for more lamps? Great to hear your studio is coming on well. With 6 tubes you are going to be super bling! In my previous space the ceiling was about 2.5 m high and I had one twin fitting with 2 x 5ft 58w tubes. This was super bright on the canvas when I was painting directly underneath it. However, with the Cat 2 diffusers the light is softer but more directional down below the fitting – so the surrounding walls didn’t receive any spill from the tubes. Total wattage for the painting area – (58w each tube) – Total of 116 watt for an area of around 2m x 1.5m – 3 square metres painting area. First space with low ceiling, and painting standing at the easel was 29 watt per square metre. Current space with high ceiling, painting standing at easel is 35.26 watt per square metre. Btw, 1,500 lux is really bright and doesn’t suit every artist, I have each tube individually switched so I can control the overall wattage if its very bright in the summer. Once again you are a life saver! Thank you, thank you!!! I have placed the order for the Fluorescent Pro Graphica T8’s – but still biting my nails on the Cat 2 diffusers – how essential is it to avoid the glare from them and since there isn’t any spill from the tubes on the side walls will I be frustrated by not enough light will on any art work I may put on the walls? Hi June, The glare from the raw Fluorescent can be quite strong if the tubes are close to your easel, so it depends on the ceiling height. The spread of the light onto the walls also gets wider the higher the lights are positioned (but his then impacts the strength/number of tubes needed) Think I might need to do a ‘Studio lighting – Part 2’! You can always purchase the fittings without the Cat 2 diffusers and retro fit them in afterwards if the glare is too much. Thank you so much for so much great information. I wrote to you once before regarding indoor lighting for my studio and you were so kind and your answer was really helpful. I now have a couple of technical questions about natural lighting. I’ve had a north facing skylight installed in my studio and the contractor did it wrong so they are about to replace it. (It’s too straight and too short and brings very little light into the studio.) Before they do so, I was hoping I could run some of the details by you to see what you think. First of all, the contractor insists that if I use double-pane glass (one sheet tempered, one laminated with an airspace in between) that I’ll lose a significant amount of light. I noticed you put Velux windows in your studio and I know they’re double pane and they usually have a low-E coating which makes them a little bluish. Is that true? Do you like them? I’m definitely getting glass without the low-E coating, but he thinks I should go with single sheet wired glass. I don’t know how this winter was in England, but here in Baltimore it was freezing, so I’d like to be comfortable and not have all my heat shoot out of my skylight! But my first consideration, of course, is the light. What do you think? Have you ever heard anything about this issue of double pane glass? Also, I’m planning to have two pieces of 5 foot high by 3 foot wide glass at a 60 degree angle. Sixty degrees is the pitch of the ones I’m most familiar with, but I was wondering if bringing it down a little to, let’s say, 57 degrees would be a problem?? Or would it even be better? The more I bring down the pitch, the more glass I can have because I have a height restriction as I live in a historically zoned neighborhood. I’m so nervous that despite all of the changes we’re making that the skylight might still not work, so any feedback you could give me would be wonderful and so very much appreciated!! That does help. Thank you so much!! Dear Wil, Thank you so very much for your invaluable input to all my questions on lighting for my new studio. You have been such a great help. Here is one more and hopefully the final one on this subject!!! Is there much of a difference between a switch start diffuser and high frequency diffuser beyond the obvious price difference and should I be concerned about it, bearing in mind I intend to work from a monitor in my studio? I would always go for the High Frequency as they have a quicker start up and are flicker free, both when starting up and when they run. Yes, a great help, thank you, Wil ! I have now placed the order and the lights will be installed next Wed March 5th, all being well! Thanks again for your fantastic advice and guidance, and for throwing light (!!!!) where there was darkness. Brilliant one June, looking forward to hearing how the lighting turns out. I read this article with great interest to equip my artist’s studio. I purchased a 85 Watt 5500K compact fluorescent bulb and a Paragon Super Sturdy Studio lamp to put it in. I also purchased 4 27 Watt CFL full spectrum bulbs to put in other lamps around my studio. To my dismay, I got a terrible headache almost immediately from the 85 watt bulb. It is so bright that if I accidentally look at it it really bothers me. Is there some sort of diffuser I could attach to my lamp stand to avoid seeing the bulb directly that might help prevent the headaches? Hi Dianne, so sorry to hear about your headaches with the bulbs, the 85w bulbs are bright. How close are they to your working space? Mine are 4 metres high so are not within eye line. You can diffuse the bulbs with a paper white lamp shade to prevent glare and soften the light. Dianne – I had the same problem with my flourescent before hitting on this solution: being the cheapskate that I am, I taped a piece of white copy paper around the base of the bulb to form a cone lampshade of sorts. (Paper burns at 451 F, and flourescents don’t get anywhere near that hot.) It solved my problem, and no one sees my studio but me – so I have no fear of someone else pointing and laughing. I do plan to eventually getting a proper shade if I can ever find one that fits the fixture. Thanks so much for all this clear info, just what I need right now. Thanks for all the info. I am working with an electrician who also is certified to work with a renowned doctor at one of the hospitals in the city who works deals with patients who have environmental problems; i.e. : very reactive to EMF’s (electro magnetic fields), given off from what is termed as “dirty” energy. When the compact fluorescents in my lights was tested, it was emitting high level of EMF’s. He will be “grounding” the lamp and installing a new cord, apparently the 2 wire cords are not well grounded. We recently attended a National Home Show in our city and found LED’s that I will experiment with. Next year, they hope to have 12 watt LED’s available. I have one presently lighting a painting and it looks fantastic. It is so nice of you to share this information and I am happy that LED’s seem promising for studio use. Thanks a bunch. Hi Dianne, thanks for the update, that’s really interesting to know, and super helpful for other artists to be aware of, thanks for sharing. LED lighting does seem to be getting better and better, really hope you can find a good solution for your studio. Thank for your informative commentary . My head sure aches with the lighting question and had solved it nearly completely with your info. I have converted a garden garage into a Botanical Art studio. I have been in complete confusion ,requiring lots of choc biscuits! The room is 11ftx15ft with windows down the East side. The height is 7ft. Pleased you’ve been finding the article helpful in your studio set up. A square metre wattage of 25 watt is the equivalent of a 1,500 lux with Fluorescent tubes, ( an operating theatre is recommended 1,000 lux) this is very bright. So I’m working at a just above overcast day brightness. Which compared to most homes is super bright. So I would be tempted to go for the 2 x twin fittings giving your 144 watt. If you find it too bright (as you also have table lights) you can always take out a tube from each fitting. I will be taking your advice. Your welcome Sheila, hope it helps. I found your article very interesting. I am in the process of deciding what kind of light to use in my art studio. I used your link to go to Solux. At their site it says that most artists compose their works under 4700 K SoLux and display under 3500 K Solux. Also that most museums perform their touchup work under 4700 K SoLux and display paintings and artifacts under 3500 K Solux. In both cases would not the work look different than the artist or retoucher intended when it is put on display? You recommend even cooler light with the 5400 K CFL bulb. The light temperature in most display environments are warmer to give a more warm/cosy feel. Most Halogens bulbs are around 2700 K, so the 3500 K Solux gives an extremely natural feeling for display environments. Kevin McGuire (who invented the Solux bulbs) helped with some clarifications in the comments above so might be able to help out with a more technical answer if you contact them direct. I am in the process of building an art studio. The dimensions are 10′ x 16′ with 10′ high ceilings. I have no windows. I have purchased the fluorescent bulbs you recommended but am having difficulty figuring out how many fixtures to install in the space. Can you advise? This is an idea of the brightness I work in from the comments above, a word of warning, 1,500 lux is really bright and doesn’t suit every artist, I have each tube individually switched so I can control the overall wattage if its very bright in the summer. 1 x twin fitting with 2 x 5ft 58w tubes. This was super bright on the canvas when I was painting directly underneath it. However, with the Cat 2 diffusers the light is softer but more directional down below the fitting – so the surrounding walls didn’t receive any spill from the tubes. Total wattage for the painting area – (58w each tube) = Total of 116 watt for an area of around 2m x 1.5m – 3 square metres painting area. Great one Anissa, really pleased it helped. I am currently building an art studio in my basement. Unfortunately, the only available light in sufficient quantity in a corner of the room…with one wall facing southeast and the other southwest. The windows are from 2.5 feet from the floor to a maximum height of 6.5 feet.Width-wise the windows facing southeast run the entire length of the wall for 15 feet, the southwest wall for 10 feet. The floor is about 4 feet below the surface level so stone covered window wells somewhat mitigate the strong south light. Any suggestions about further softening the south light? Upon your recommendation I plan on utilizing the Phillips TL 90 lights. But for painting a still life with dark backgrounds what kind of spot lamps would you suggest? Hope you’re keeping well, to soften the strong south light you can add diffusion to the windows, so you still get the brightness of the light, without the glare. Diffusion can vary depending on how permanent you want it to be and costs. It can vary from having semi opaque blinds, or a semi-opaque shower curtain, to having diffusion fabric (usually used in photography light boxes.) to help to soften the light. To have a balance to the Phillips TL 90 bulbs you would ideally have a 5300K CFL, however, I’ve found you often get either a 5000k or a 5400K that is used for photography studio flash. So it’s a personal choice if you want to go slightly warmer (with the 5000K) or cooler with the 5400K relative to the 5300K of the Philips. One bulb that I have found that gives an excellent light nice is a 5500K CFL with a 95CRI rating. The CRI of the different bulbs from photography stores can vary, but I’ve found the Kino Flow CFL Bulb, to have an excellent CRI rating. It is slightly more expensive than other equivalents, but give an excellent light as it had been designed for professional cinema use. The 26W bulb is a good brightness for a medium to large size size set up. Alternatively, you can use a bright LED, that you can more easily change the intensity (you often can’t dim CFL bulbs) if you will be varying the sizes of your setups and don’t mind loosing a little CRI. How about LED lamps/bulbs? Any suggestions? Hi Carolyn, you can use LED’s but I’ve found the CRI rating is usually lower, unless you want to invest alot more, or you can achieve a high CRI but they are a warmer tone rather than the 5000K – 5500k range. Your article was very helpful to me! I am in the process of renovating a barn into a studio space and the quality of light is important. 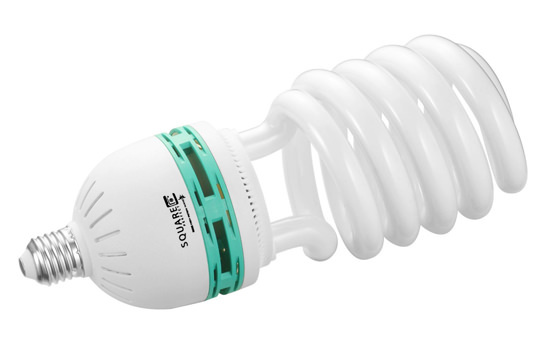 I have been trying to locate the exact Philips TL-D 90 Graphica Pro Triphosphor 4′ T8 36 Watt Fluorescent Tube in New York and what I found on bulbs.com equivalent is – Philips F32 T8/TL950. The CRI is 98, 5000K and 32 watt. The knowledgeable man who helped me said that he has not heard of a 36w in the states. The 4′ length only comes in 32 watt. Also the Kelvin is not quite the 5300 that yours is. They are $9.99 a tube. This is the closest I have found. What do you think? Sound great Susan, the 5000K is really perfect as it’s a good white light, you can then use other CFL bulbs for any still life setups etc you have in the studio that can be easily found at 5000K so you’ll be balanced with your colour temperature. Good luck with your barn renovation! Thank you for the informative article- it’s been a big help in sorting out the technical details of light. I have a north facing studio and want to supplement with artificial light, and this has been a very good resource. Love seeing the artists studios! Thanks so much for the great lighting info! Where I am struggling though is what actual ceiling light fixture to use for the 4′ T8 fluorescent tubes (such as the Philips one mentioned by Susan on May 22nd). Am looking to have a four tube fixture, and am at a loss with what might be a recommended and reliable fixture to use. Any suggestions? Thank you for the great information beats recreating that wheel :) Building a studio similar to yours, unfortunately not lucky enough at this stage to have the natural light component, all in good time, so I will be relying on artificial lighting unless I go outside to play. I would live to see a pic of your studio if completed? Thanks Marie, pleased you’ve found it helpful, good luck with your studio. Hello, I’m new at having a studio, and I’m also starting my graphic design business. I just bought some compact fluorescent bulbs that just screw into a regular lamp. They are daylight balanced, 1300 lumens, 5,000k, 75watt bulbs. Only thing that is bothering me, is after reading your blog, I’m not sure what the CRI is. Do I need to find a different bulb, are these too blue? I am willing to invest in some good bulbs, so I can output professional work. Thank you in advance for your reply. Hi Celeste, the CRI is the ‘Colour rendering Index’ and describes the accuracy of the bulb at displaying a full spectrum range of colours. Natural daylight has a CRI of 100. You can get CFL that specify CRI, but not all manufactures add the details on the bulb. If you will be proofing prints in your graphic business then a high CRI bulb will give you the best results. The tubes I use are designed for the graphics industry. They look great Celeste, nice choice. Well by their site the daylight bulbs only have a CRI of 80, but their soft white have a CRI of 93. I guess I’m still confused by all this. Thank you for the replies. Ahh, yes, often you’ll find that the warmer the bulb in colour temperature the higher the CRI. But with the warmer colour temperature it makes it harder to balance with natural northlight. So it is trade off between colour temperature and colour rendering. Heh Will, Just put down the deposit on a studio for the back yard. 3.6m x 2.7. Also just read that da Vinci suggest a small studio disciplines the mind! It will have Wooden outside cladding, pitched roof, two big windows either side of a glass door south facing. Will DIY the interior in ply cladding and get a sparky to power it up after that. It is a lot fun looking through pics of the interiors of studios online. Erected in four weeks time and should be fully functional before we leave for a 5 week European grand art/cultural tour in our summer. I imagine things will be quite fruitful after that! The question that was formulating has maybe answered its self after re reading the “colour of studio wall article” in that ply wood walls in a small space is perhaps the best colour. Hang a painting or two up and shelves and that would pretty much cover it. Thus adding a wall colour might be moot. I would imagine that a small space should be easy to illuminate with a soft clear light with this articles advice as well. Hi John, yes it depends on the mood and feel of the space and the type of paintings you’ll be creating. The wall colour can really change the feel of the studio quite dramatically. Thank you, Will, for a very useful summary about studio lighting. I would like to use LEDs in my studio–I will let you know what I find in my research. You’re welcome Alex, pleased you found it helpful. I just came across your amazing and informative website. Thank you so much for explaining the lighting in such detail. I was losing hope. I’m hoping to chat to my electrician husband about all this when he gets home! We’re just in the process of fitting out my brand new teaching studio, here in the west of Ireland and I needed to decide on my lighting tomorrow. I’m planning on getting the Phillips T8’s you recommended and wiring them separately so I can control the amount of light. My studio space is 5x8metres with 3m square windows on the south and west facing sides. No veluxes unfortunately or north facing light but It’ll have to do for now! It does have high apex ceilings going from 8ft to 12ft at the top. My question for you is would I put the bank of lights on the horizontal beams exposed or on the angle of the ceiling? And also, diffuser or no diffuser? Your input would be greatly appreciated! Thanks for the great info so far! In depends on the layout of the rest of the teaching studio and main layout for the space. If you’re going to be painting with oils at an easel and have students around the edges of the space having a angled light on the ceiling if preferable because it will help to stop glare from the shine of the oil paint and/or a glass palette if used. If you’re going for more of a ambient glow then having an even spaced on the horizontal will work. The Diffuser helps to prevent a glare if the lamps are hanging lower in the space, but will prevent the light spreading onto the walls (it directs the light down more) if you are using them for display. Hope this helps, good luck with the build! I love to paint portraits (abstract) I am not a professional but would love to learn more. I work in a 9×9 foot steel shed. It has no windows or lights so I wait until the middle of the day @ 2-3hrs worth of good light to do my painting as I take the outside. Can you recomend a lighting system which would suit the above conditions. I would love to have more time to work on my pieces and learn more as i go. Hi Katrina, the most cost effective solution would be a 85w CFL pendant bulb. Thank yoy for the information.I appreciate it. Now I just have to find it. Beinging in a remote area, in Australia doesnt help sometimes. You’re welcome Katrina, hope you manage to track one down. Thank you for this very helpful article. I just moved and had to give up my art studio and start over again. The space I have is smaller, pitiful lighting and only one north facing double window. I will take your advice on the T8 fluorescent 4ft fixture. So far have only been able to find 32 watt tubes with the tri-phosphor coating. If you think I should not get the lower wattage, please advise. Once again, thank you and happy painting. Hi Anita, pleased the article helped. It’s not necessarily a case of individual wattage, more the combined wattage output for the space you’re working within. Do you can just add more tubes to achieve the light levels that suit your space. I was looking for lighting information before I purchase the right daylight light source for my small art studio (which is in a basement). I’ve taken note of all the important info…now I’m off to the light shop to purchase my triphosphor flourescent tubes. Thanks so much for such an informative article. You’re welcome Isabelle, hope it helped. I am a turk architecture student,I couldnot find any clear thing about lighting -I’ve been working on my art studio project- thank u so much for these writing,it worked on my project much! Good one Gizem, pleased you found it helpful. I have been following you for some time on Youtube. Only recently i started to read your articles on your website. Both the videos and the site are a great source of information.It covers all the relevant subjects an aspiring hobby painter like me needs. You even share your knowledge about studio lighting, wow. I recently started painting classes and will definitely recommend your site and videos to my fellow students. Thanks Martien, really pleased you have been finding the articles and videos helpful in your paintings. I am new to your site, and love what I have seen so far! Did you finish your studio? I would love to hear how you finished it. Hi Jan, nice to hear form you, yes I did finish the studio but haven’t put pictures up yet, pleased you’ve been enjoying the site. Dear Will; your article on lighting for your studio is very “enlighting”. i would appreciate if you could give me your opinion on certain facts about converting my one car garage into my studio: i will have to heat it insulate it and put natural and artificial lighting. i thought of putting skylights on the south facing very slanted roof. in order to have even light i can place some kind of sheer shade on it. i understand it will be a good heating source in the winter. i paint on the wall and i chose to do it on the western wall, the light coming from my left, as i am right handed. i live in philly, usa. please let me know. Hi Nury, it’s hard to give specifics on your studio setup as each space can vary so much. I’ve got underfloor heating in my studio which I find to be very efficient at keeping it nice and toasty in the cold. Thank you for taking the time to create such a comprehensive article. 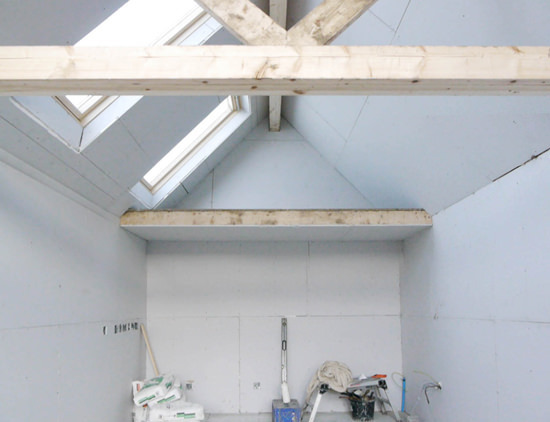 I am creating an art studio in a 6 x 8 timber shed with windows facing south and north. Would it be best to have 4 ft fluorescent tubes on the ceiling and if so do you think 1 tube would be enough or would a pair be better. Iif you have a read of the other comments there are more detailed specs on the type of light level that I work in. The best thing to do is to try and find a lux level that you feel comfortable working in (either using a phone ‘lux meter app’ or a lux meter (about £20), and then you can match the amount of tubes to the lighting illumination level that you are most comfortable painting within. The ceiling fittings do vary, the tubes that I link to the article fit the larger, older ‘T8’ fittings. Currently the newer more slimline fittings (T12) don’t have the same CRI levels in the tubes. I’m looking for the simplest way as a professional to be enlightened enough to my room for a painting. If I would have your recommended lamps (Philips TL-D 90 Graphica Pro Triphosphor 4′ T8 36 Watt Fluorescent Tube 36W), where can I find the stand in which compliance with Bulb Diameter and make good use of lamp options as well? Could you share a link, please, that will help me? Floor lamp type would be the best option for me. I think it would be more convenient when traveling. Thank you so much! Hi Clyde, most of the fluorescent fittings are designed for ceiling mounting, not stand mounting. The best thing to look for if you are looking for a movable light is a construction ‘site light’ that uses a T8 fitting. You’re welcome Barbara, hope it helped with your studio planning. I attend a life model evening class and work in colour. I find it essential to use an art type blue bulb fixed above my easel for colour correcting. Fantastic article. Have learnt so much. Going out to buy a lamp for doing my art in the winter months now. Thanks Sarah, pleased you found it helpful. Great article! I learned so much! Thank you! I read through all of the previous Q and As and nothing answered the question I have so I thought I would go ahead and ask. I am remodeling part of my garage to be a painting studio. Regular 8 foot ceilings, no windows. The wall area that I will be working on (I will mount my canvases directly to the wall) is about 10 feet across, and 8 feet high. I need to illuminate that space well. I like your idea of just using the CFL bulbs that have a high CRI and about 5500K. I am wondering if I should place these bulbs in a track along in front of the wall I will be painting on. I am unsure if placing them so close to the canvasses will produce a glare or another undesirable effect (even if I direct them at the ceiling). I read in a past response that you did not suggest track lighting to another commenter. If you dont suggest track lighting, would you suggest scattering these bulbs throughout the garage ceiling? I am also wondering how many you think would be enough, and what wattage? The space is small, only 10 feet x 12 feet. Thank you so much for your time and thought. I really appreciate it. I currently have a square metre wattage of around 25 watt per square metre. and 800 lux when sitting at the easel. So I’m working at about the brightness of an overcast day brightness. Which compared to most homes is super bright. You’re space is around 36 metres square, so it depends how much of the space you’re working in to paint under and the level of light illumination you like best. A single 105 watt CFL in a pendant fitting at a distance of 4ft from the light gives a lux level of around 200 lux. The best way to check is invest in a £20 Lux meter and check spaces around you that you feel comfortable working in and then match the lighting to that brightness level. Came across your article in my search on proper studio lighting. Excellent! My old studio was actually two places, a south lit sunroom for smaller work and a dark barn for larger pieces. However, we just moved to another property and I now have a garage with north window and good fluorecents, and an upstairs studio with a nice large north window. The lighting in that area is regular incandescent bulbs, which led me to this search for better lighting. Thank you so much for all of your research, I can’t wait to get the bulbs changed out! Thank you so much for this informative post! I am an artist just getting my career started over here in Portland, Oregon USA and my husband and I are turning the basement level of our home in to a painting studio for me, and this article has been such a help in understanding how to make good choices about lighting! I really appreciate your thorough discussion! Good one Anna, really pleased you found the article helpful, hope your studio turns out well. Thank you, Will, for this SO helpful information on lighting! I am working in a 10’x13′ room with a Western exposure so no help there. Would one bulb in a centered ceiling fixture be light (bright) enough, or would a track lighting system be better? What about the question of mercury filled bulbs (tubes) for safety? Looking forward to seeing your finished studio…I know you are. I’m working at about the brightness of 1000 lux so the same an overcast day brightness. Which compared to most homes is super bright. Track lighting can be excellent for lighting walls for display of work but need to be properly spaced to achieve an equal illumination to the space. I am so exceedingly happy to have come across Will Kemp Art Studio! Your incredible scope of knowledge and easy, encouraging manner have helped this intimidated artist in progress move out of the shadow of wanting to paint and into the light of beginning to paint! Your teaching has done the seemingly impossible and gently dismantled the strong wall of belief that I have always held, that I have no artistic ability. Here I am at midlife discovering that, not only am I capable of learning how to paint,but I am also discovering a whole new appreciation for art and artists. I am so excited to have a wonderful and rewarding new passion. Right, very interesting. My studio is long and dark, cream, floors and walls in the basement of the house, with west light from a strip of 3ft high windows at the top of the wall which is set at outside ground level. I am in southern spain. How many of these fluorescents lights should be fitted to the ceiling, which is false , not very high, (about 10ft), and dotted with only spotlights set into it. Could I use brighter spotlights? I think they cost a bomb, the ones I have are the led, and dont give much light at all. What lumen should I buy if I could stay with spotlighting? I have to sort out this studio as i cannot work in it and i get really frustrated.Cheers. Hi Deborah, if you have a look through some of the later comments on the lighting article I talk through how to work out a guide amount of bulbs for your space. Thank you. Actually the light is from the south not west, my mistake. I went out and bought 3 led fluorescent strips 1600 kelvin, and a couple of lightbulbs just in case. It may well end up looking like Blackpool. I thought if I need a lot of light for classes and desk work a lot of light may be needed, and if not I can just use one 1600 bulb on a standing lamp, unfortunately, having read all the tips, i am really none the wiser. I cannot have them all put up to try out. Maybe one would be enough. the ceiling is about 11 feet high and the studio is about 23×55 feet. also where should i put them? 2 or 3 along the ceiling, or one in the middle? Thanks so much for your advice and time. I have a false ceiling with spotlights, I think it is going to be a problem to put other fittings….. I wouldn’t personally recommend the bulbs at a 1600 kelvin as they will be very, very warm. Is the 1600 number the kelvin or the candle power? Sorry, my mistake. I have had flu all week, brain not functioning too well. I have three ceiling lamps each with 2 strips of 3.250 total of 6.500 kelvin each one. Ahh, that makes more sense. self and have the urge to get going again! The only place I can really set up is in my kitchen which has a deep recess, big enough to fit a good sized table. The kitchen is big and has a very large window 6ft high by 4ft wide ( old Glasgow tenament – high ceilings). The window is west facing, so not much light in the earlier part of the day. The kitchen has a main light directly in the middle of room which is corded with an old Art Deco glass shade ( beautiful but very dull ). The recess has a single socket downlighter, typically for an LED spotlight, this sits directly above the workstation – approx 4ft. My initial idea is to install approx 8 downlighters in the kitchen and fit with good quality bulbs ( 320 lumens – 5000k ) Will also buy a good quality desk lamp. I’m starting to waffle on! Anyway, any suggestions on my little predicament would make my day… Thanks. Hi David, the quickest solution would be a CFL bulb at 5000K at 85w. They are pretty big bulbs but will put out around 5,350 Lumens. You can see a photo in the article under the ‘simplest solution’ heading near the bottom. Wow! That was the best, most comprehensive yet understandable explanation of lighting I have read.- And I’ve read a few. Thank you for taking the time to write this, it is so helpful! My only studio space at the moment is a fairly dimly lit garage. It has a big roller door that can provide some light during the day but also blows in dust and etc. However my husband is an electrician so even though our home is a rental, he may be able to rig something up for me to artificially light the space. But if I was to summarise the lowdown on ‘how to light a windowless garage for painting’, what would be the best most straightforward thing to ask him to do? We live in Australia if that’s any help. Hi Coralie, sounds like you’ve got the perfect man for the job! The most straightforward thing to ask would be for a couple of 4ft of 5ft strip fluorescent lights that have a high-frequency ballast and a high Colour Rendering Index bulb. Good luck with your studio. I would very much appreciate your advice. We are in the process of having an extension built and are at the stage where I need to decide on the lighting in 2 of the rooms where I will work. I create hand dyed and hand printed fabric and am also a quilter so accurate colour rendition and neutral lighting are as important to me as they are to painters. I also need good lighting to be able create reliable photos of my work to post on my website. I have done lots of reading and understand the importance of CRI, Kelvin and Lumins etc but am not entirely sure how to translate that into decisions (hope this makes sense). The rooms are not huge (approx. 15ft long x 7ft wide x 8ft high) and I had originally thought track lighting would be the way to go but having read your post (and some others) I wonder if fluorescent would be better. 2. Do you still use fluorescent in your studio? Also, I have read through this post numerous times now but can’t seem to find the follow up post showing photo’s of your finished studio – would love to see it. I work under a brightness of around 1500 lux with a mix of daylight and fluorescents. 1,500 lux is really bright and doesn’t suit every artist, I have each fluorescent tube individually switched so I can control the overall wattage if it’s very bright in the summer or I’m working on a commission that will be hung in more dimly lit room. So it depends how much of the space you’re working under and the level of light illumination you like best. The best way to check is to invest in a £20 Lux meter and check spaces around you that you feel comfortable working in and then match the lighting to that brightness level. This is an essential topic for painters. I have built three studios starting with one that had a flat, rectangular overhead skylight and second skylight that was square and pitched by the roof angle (hipped roof). I put three longer skylights in the second studio. The present and third studio has no skylights. I should state that the first two studios were for painting directly from life, whereas the latest does not rely on observation or objects – the work changed from close-focus still-life paintings to painterly abstractions. All three studios share one lighting system in common – I have used Solux bulbs, tracks, and heads exclusively as supplemental and for direct lighting. Singing the praises of Solux bulbs and their ability to reference nearly any time of day is quite easy for me. I generally use the MR-16 4700k 35* spread floods but am considering the newer PAR 38 90W for a wider spread but they only reach 3500K but have a 50* spread. This is not so troublesome because the lighting is closer in color temperature to that which will light the paintings in galleries. I probably will install some tracks for the MR-16 as well as for the PAR 38 to augment the clarity of light but not allow it to dominate. A word about north light. North light is the most consistent throughout the day but still changes in intensity and color temperature from morning to dusk. Colors will appear different on cloudy days than on days with full sun. Painting using north light exclusively can be exceedingly frustrating. The color of light is important in painting as light and pigments complement each other in reaction. An opaque object under full sun will be the complementary color of the sun, or much cooler and less yellow (and a little orange) will cast blue-violet shadows. If you cast a direct light onto a white object with a colored cellophane gel over the light, you will see the complement of the light’s color in the shadows. A good “parlor trick” for the uninformed. There are a few places in the world where sunlight is cooler by small degrees – the south of France, some places in California, and in eastern Massachusetts, for some reason. “Cape light” is a phenomenon recognized by late 19th century painters who painted on Cape Cod (Just “the Cape” to New Englanders), particularly around Provincetown – the ocean has much to do with it, I suppose. Cape light is cooler and on clear days can be remarkably brilliant, intensifying color and enhancing color relationships. Light not only affects pigments and painting, but also it affects one’s eyes. Too much light is just as bad as too little. We have all experience the standard fluorescent “flutter”, so that’s to be avoided for long-term exposure. However, I recently switched from ECT 500w 5400K tungsten photofloods to compact fluorescents – 35 watt (x six) to photograph large oil paintings and color rendition has been excellent. I will continue to experiment with lighting until I find something as “perfect as it can be”; perfection is an unobtainable absolute. Thanks for sharing your experience using the Solux bulbs in your studio space. Hi Will, great info here. I’m going to purchase the same fluorescent Graphica lights that you mentioned above. My ‘studio’ is a 3rd bedroom in my house, 10ftx10ft with 8ft high ceiling. Would I need just one of those tubes for my size studio or should I get 2? Hi Steve, I would definitely have at least two tubes to get a good light illumination level. In my studio I have 12 4 ft tubes illuminating the space hanging about 4-5ft from the easel. This is very bright though and about 1,500 lux. Hi Will, thanks for all your tips and experiences. I have really enjoyed your videos on painting with acrylics and learnt a great deal about how to light a studio. Great to hear it Phil, really pleased you found the article helpful. I managed to get some good daylight bulbs from ebay, that fit in a lamp I already had, and another one that clips onto my easel. However, my workspace is shared (it’s the living room!) and I can only paint at night when everyone’s gone to bed, because the light comes from all over the place. Hi Peter, yes when you have lots of lighting coming from different angles a shadow box can be very effective for controlling the light entering the box and giving you a strong single source lighting. You can create a really simple shadow box with a cardboard box, just paint the inside black and then cut some ‘doors’ on the side and on the top, then you can place your daylight bulb next to one of the openings to experiment with a lighting effect you like. For more robust boxes you can use wooden frames or even simple sheets of black foam core that you velcro together, then you can take the box down and store flat when not in use. Thank you for so much helpful information not found elsewhere. I paint relatively small tempera paintings, mostly using natural pigments, so far no larger than 30 inches wide. I am presently building a new house and need to decide where my studio will be. I live in the mountains in western North Carolina, so my house will have a walk out basement bottom floor with windows on 3 sides. The house faces east ( downhill) but the ends are north and south. I can either have a north window and a lot of east windows, but be under a 10 foot deck that projects out to the east so there will not bee much actual east light (in otherwords it will be rather dark) or be on the south east end and have both east and south windows with no deck over it. I can diffuse the south light with blinds or curtains and have a cheerful space, but I don’t want my colors messed up. What do you think? I do love using natural light to paint and see better with it. Any thoughts are very much appreciated. It’s a tough call because the north and east windows will give you a more consist glow to the space but having the option of having a brighter space that you can diffuse gives you the option of enjoying the sun in the space when not working on your tempera paintings yet still being able to control the intensity of the light in the space. I would judge it on if you find yourself working in the sunshine now or are you always looking for shade? just trying a ‘mock up’ studio in your house will give you an idea of the small you most naturally fell comfortable in. Thank you for your reply and for all of your efforts to help fellow artists. My main concern with the south light is that it is so warm and bright that my paintings may look too dark or too cool in other environments. I will experiment around my house to help me decide. Luckily with tempera, glare is less of a problem as it dries very quickly. I’ll let you know how it goes. The house and studio will be done in about a year. I may also try the Solux bulbs with diffuser for night work. Hi Nicole, yes it’s a tricky one isn’t it, the non-direct light is always much more consistent for judging colours. The Solux bulbs give a lovely clean light so will keep that colour consistency at night. Good luck with the build. I thought replacing a large south facing window in my painting studio would be pretty simple. As I found out not all window glass is the same and most have a color tint. It seems the more UV protection and energy efficient the glass, the more the outside light is altered toward a green or blue cast. Using just a double pane window has the least amount of altered light, but the trade-off is lower energy efficiency. Is it possible to have both energy efficiency and non altered light? The only thing I can think of is to use artificial lighting to help compensate. Another solution might be to use the glass that tints slightly blue in order to compensate for the warm light of the sun. I haven’t tested to see how the Window energy rating effects the light quality entering the space and if there is an optimum balance between efficiency and colour altering. If you find any more information it would be interesting to see. I would say adding artificial light into the space would give you more balance when you needed it rather than having a permanent tint added onto the window. May I ask you how big is your studio that you built out in this topic? My apologies for asking once again but I didn’t want to read through the entire comments section looking for it and having it come up fruitless. Thanks you for sharing this insight though. Very much appreciated! I am a new painter and I am starting to tell a difference between light inconsistencies and the way it affects color. I am seeking to solve my problems in certain parts of my how where I paint as I tend to move from room to room. Hi Jason, the inside studio space is approx 3.3m x 6m, the main lighting is over a painting space of about 3m x 4m. It is however VERY BIG! its do bright to be without a lampshade, do you have any recomendations that I could fit on my student budget please? Hi Rebekah, yes they are quite big aren’t they! you can use a paper pendant ball lantern, IKEA usually stock them and I think they are about £5 They will diffuse the light all around the room. Pleased to hear your studio is coming on well. In my previous space the ceiling was about 2.5 m high and I had one twin fitting with 2 x 5ft 58w tubes. Btw, 1,500 lux is really bright and doesn’t suit every artist, I have each tube individually switched so I can control the overall wattage if its very bright in the summer or if I’m painting a more classical piece I’ll drop the light levels to more around 500 – 600 lux. What you can do is buy a ‘DIGITAL LUX METER’ they are about £30 and test some Lux levels that you feel comfortable working in. Once you’ve got a lux meter you’re happy with its a case of matching the amount of tubes to meet that light level. Thank you for this perfect article! I am currently building a 9’x12′ shed type studio, which will have windows on the north wall and one small window on the east wall (so I can see my rose garden while I work!). The back of the studio is 8′ high and the front (north) is 10′ high. I am a printmaker, working mostly in black and white, and I do some very precise cutting and gluing, for which I need good light. I’m just wondering whether you have any suggestions about using LED lights, as they have come a long way since the original article was written. Is there any advantage to using those over florescent? I think they are dimmable, which could be very useful, but I’d love your thoughts. Hi Joanna, yes LEDs have been coming on really well in the last 12 months. There are advantages that the LEDs are dimmable and you can change the colour temperature of the LEDs. In terms of the colour rendering, they are getting better and better but they still tend to be more expensive that fluorescents for the same output/colour rendering. Your article on studio lightening is a treasure. Thank you! I live in Scotland and too much natural light is never a problem here. I would love to gather as much of it as possible through the roof via skylights but the structure of my log cabin studio and the expense restricts me. I was wondering what is your opinion from the light point of view, on using polycarbonate sheets as roofing material for part of the roof. Some type of polycarbonate does have an acceptable level of thermal insulation so that is not so much my concern, but even the best clear one has only 74% light transmission rate. Just wondering if you have an experience of visiting studios with this sort of roofing or perhaps researched it for your own recently built one? Hi Kinga, nice to hear from you, I haven’t experimented with the polycarbonate sheets, but it can be amazing how small a window low level of natural light can still make a massive difference in a studio space. I think it would be definitely worth looking more into, even for small sections to add ambient light to the space. Thank you for this information! I feel much more educated about lighting for my new studio. There are minor different considerations for a sculpture studio, I think, what with some bigger spaces to light and working in the round, but I found this so helpful. I am going to check out your work now! Fantastic article! Many thanks for sharing your research. I’m in the process of setting up studio space for over 100 students in Florence, Italy. Just the information I needed. Thanks again. Good one Daniel, so pleased it helped, out of interest you’re not Daniel Graves from Florence Academy? if so love your paintings! I am setting up a new painting studio and just read your interesting article on lighting. As I am at the designing stage, I want to get my lighting right. Do you have any further comments to what you recommended in your article? I am in the southern hemisphere, Australia so we can have super bright days! Many thanks, regards Ria. Hi Ria, the only further comments would be to have a look around for any high CRI LED lights, they are getting better and better since the article was first published. Thank you for the most wonderful education on light and lighting, Will! I have been researching lighting for a couple of years to re-fit our studio, Village Arts of Putney, which is the home of The Putney Painters, an invitational painting group with dear friends, Richard Schmid and Nancy Guzik. When we originally set up our studio16 years ago, in our old barn, Richard installed fluorescent full-spectrum lighting. Lighting has changed so much over the years that it is overwhelming now that we want to re-do the lighting. I have scouted and scouted. One gallery we visited has the most amazing array of lighting in their private viewing room. The chap provided us with an amazing demonstration of how he can virtually “paint” with light. The effects and moods in one painting were astonishing. Your are so right–the light someone has in their home or gallery can truly impact a painting. We are trying out the Genaray GESPE240B SpectroLED Essential 240 Bi-Color LED dimmable Light which several of our artists absolutely love in their studios. These lights run from warm to cool which we are looking forward to playing with. We shall see how Richard responds this spring when we resume painting again. Love your organizational and educational abilities, Will. If you are ever in the US and near Vermont we would like to invite you as a guest to Putney Painters! Thanks for the super work you do to educate artists! Lovely to hear from you, thanks for your kind comments and so pleased you found the article of help, yes, LED lighting is getting better and better in terms of colour rendering and the ability to match your studio environment colour to the colour temperature that the painting is going to be finally hung is a really exciting one. I’ve heard great things about all the great work you do with the Putney Painters and love Richard’s paintings so thanks very much for the kind offer, much appreciated. If I’m ever in Vermont I’ll take you up on it! I have a large studio, with 14-15 feet ceilings in an old mill building. Gigantic north light windows from ceiling to about waist-high with full length black drapes, which somewhat darkens the room even when pulled back. Horrible fluorescent lighting high above. What would you suggest for superior lighting? Hi Elizabeth, the easiest fix would be to upgrade the fluorescent tubes to one with a high Colour Rendering Index and a Kelvin temperature that suits your space. Thanks for such a useful article on studio lighting. We are considering converting our garage, which is about the size of your studio. I’d be really pleased to know if you have any thoughts on ventilation. We are in the UK. Do you just open the windows in your studio or did you have something special? Thanks. Hi Angela, pleased you found the article helpful, yes windows and doors are as exotic as my current ventilation gets! You can use air purifiers if working many hours with oils and thinners in a confined space. Hi Karen, pleased you found the article helpful, placement of the lights is usually about 30-degree angle from the canvas (is working upright) up to the ceiling. The higher the light source the better so you have less of a strong light drop off when the light hits the canvas surface. For a smaller studio a high CRI CFL bulb or 2 ft long fluorescent tubes work well. WOW! that was the BEST read I’ve had about lighting. Who knew?! Thanks so much for putting in this effort AND for sharing it with the world. You’ve made the task far less daunting than it was about to be… thanks again! Good one Mia, so pleased it helped. 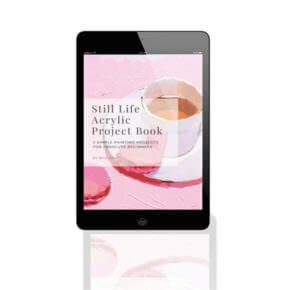 Hi Pam, pleased you found the article helpful, you might find this article of interest about studio wall colour you would get a slight warmth reflected from the magnolia. Thank you so much for doing all the research. Will, Your articles are so good. This is the first time I’ve ever seen all this information in one place and the added photos of studios are interesting. This gives me more confidence in choosing light for my work. Great to hear it Christine, really pleased you found it helpful. An illuminating article on lighting thank you for sharing Will. I live in the tropics and have my studio in a covered patio working with natural light most of the time. However need to consider lighting for displaying work when potential clients come to view. Your research is wonderful and a good starting point as I venture to see what is available locally. My pleasure Kavita, so pleased you found it helpful. Gained some knowledge about lights. Moved into a cave like apartment. Will have to work in the courtyard when possible with an easel light! I am setting up my studio at last, and I was wondering if 5000 lumens might me too much for me? The ceiling is indeed 3m tall, but the room itself is fairly small, about 3x3m or just a little bigger, and walls are all starking white. Would 5000 flash me or still be needed? Thanks again for the wonderful content you post! Hi Fabio, that should give you a good luminance level for the size of the space due to the light drop off from the light source. 5,000 lumens, concentrated into an area of one square metre, lights up that square metre with an illuminance of 5,000 lux. The 5000 lux, spread out over ten square metres, produces an illuminance of 500 lux, so it should give you a good level for your space. dear will I found this page while researching lighting as I realised my colors are all off! I took a recent painting outside and it suddenly looked really bad! one problem: this article is great for those with dedicated studios but what about us lowly folk who are painting on our dining room table? sure I have windows on three sides but sometimes I’m painting in evening or dark afternoon and my bog standard yellow houselights are on. what would you advise for folk like me? perhaps a single desk lamp or something? one single bulb? any ideas? or the SOLUX reading lamp you mentioned? they seem to have two “desk type” lamps, also what about just a SAD light? surely a SAD light is daylight? Hi Brendan, the simplest method is to replace a bulb to a lamb with 5000K and a high CRI, like the CFL light mentioned above. You can also now get some LED lights that are getting better and better in their colour rendering. SAD lights tend to have a cooler colour temperature around 6500K, a 5000K bulb is more neutral. Would this work for art? Hi will I think I’m fundamentally confused on one issue, in your article you state that the higher the Kelvin the closer to a trial daylight the light is so I’m getting confused why we are not supposed to get the highest kelvin possible? Colour rendering index – CRI – is a measure of the accuracy that the light renders colours. Natural daylight has a CRI of 100. So you want a light with as high a CRI as possible, but a colour temperature that gives you a neutral/white light. So we’re looking for a studio artificial light that is as close to daylight in colour (around 5600 Kelvin) and the way that it renders accurate colours (CRI) as close to 100. I found you’re article very helpful indeed – thank you very much. I’m building a studio at the moment and it looks pretty similar to yours in the article. I was wondering whether you put a diffuser over your fluorescent tubes or not. I guess that it would alter the quality of light, if you did. Is this something you would be able to advise on please? Hi Marian, pleased you found it helpful, yes, you can use diffusion, it’s often most handy when you’re closer to the light source at it softens the light. Clear diffusion will scatter the light but frosted diffusion will also reduce the light level. currently looking at the best way to light it. These lights you suggested sound ideal and hopefully keep my spirits up over the winter! Philips TL-D 90 Graphica Pro Triphosphor 4′ T8 36 Watt Fluorescent Tube 36W. So i’m thinking of hanging two 4ft double double tube hanging fixtures from the ceiling. Hopefully that should give me plenty of light with the addition of raplacing the garage doors with glass sliding doors facing north west. Pleased it helped Mark, that should work great for your space. Hi Will, I am fairly new at sculpting. I have done a few polymer clay figures and found a new love in this medium. However, I am not good at setting up a work space. Any advice would be very appreciated. I do art during the day, I am in Canada (winter is coming and it can get a bit dark), and my spare bedroom turned studio is in the basement. I do get a fair amount of light but it is a south facing window. My desk is about 40 inches long, against an adjacent wall from the window. I have 8 foot ceilings and my room is 13 x 12 feet. Could you suggest lamp placement and bulb types for me? There is so much information online that I am lost, frankly. Thank you! Hi Tracey, the best thing to try is use a lux meter ( about $15-20) to check the light levels in your current set up and the ideal amount of illumination you’re after. Then you can reverse engineer how many lights you’ll need for the space. Thank you very much for this detailed and helpful article! I don’t need to research further…very complete. Thank you very much for taking the time to write this article. I too live in a dreary northern hemisphere climate and this article helped me pick the right bulbs to make painting possible all day long! That’s great to hear Sue, so pleased you found it helpful for your studio. Thank you, Will, for generously sharing your knowledge about studio lighting. The information is invaluable and no doubt greatly appreciated by your many students. Keep us the great work you do. My pleasure Monica, so pleased it helped. Please can you help me to decide how many fluorescent tubes I need around my painting to prevent GLARE. At present I have only 1 tube and one energy efficient bulb and its impossible to see what I’m doing because of glare. That is, the reflection on wet paint causing glare so that I can’t see what I’m doing, like late sunlight on a wet road. Can I solve this very serious problem by using lots of lights/tubes in order to disperse/diffuse the light as in daylight, where this problem does not arise if painting outside? Hi Jack, the glare is usually due to the position of the light in relation to the surface of the canvas. Ideally, you want the light behind you at about 45 degrees. If you haven’t got the space to move the tubes you can add some diffusion fabric in front of the light to diffuse the light.